This place has it all...great food, a fun atmosphere, and a full bar!! 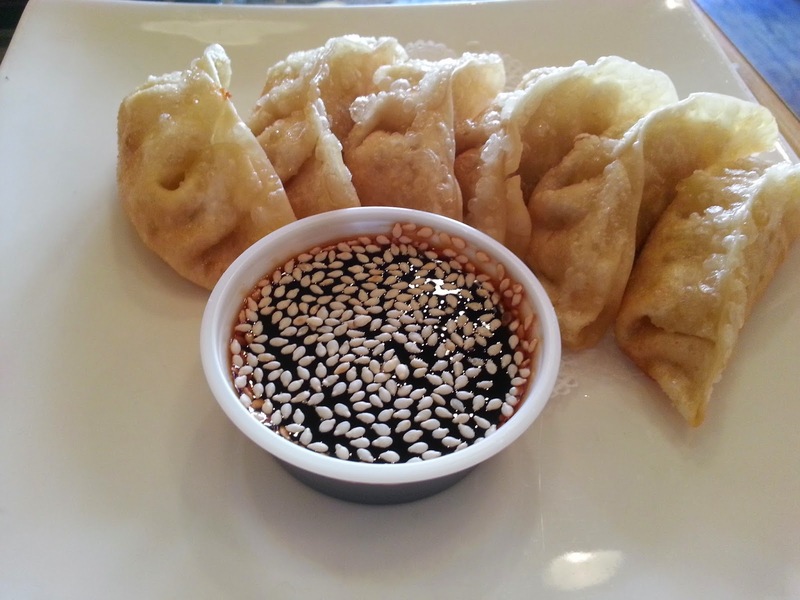 They are open until 5am so they are perfect for those late night cravings. 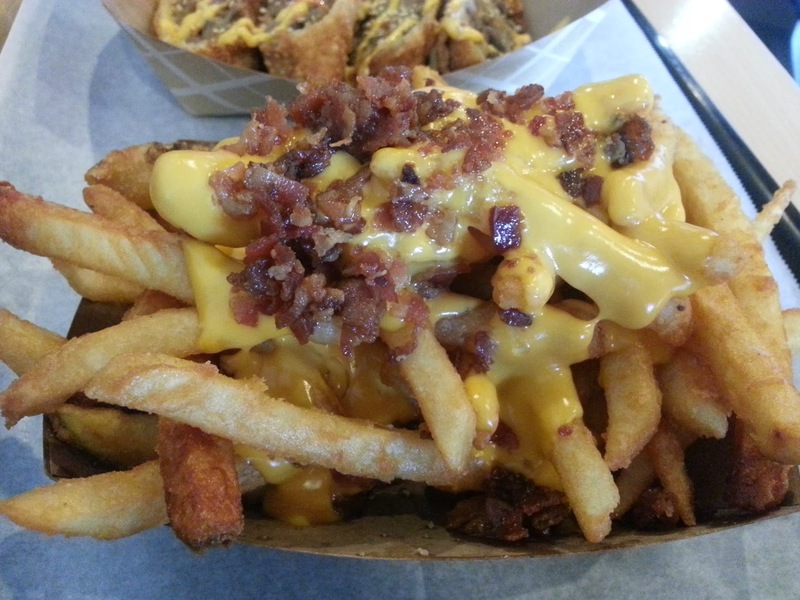 We have tried a few different items at Cheesies, and everything is great. 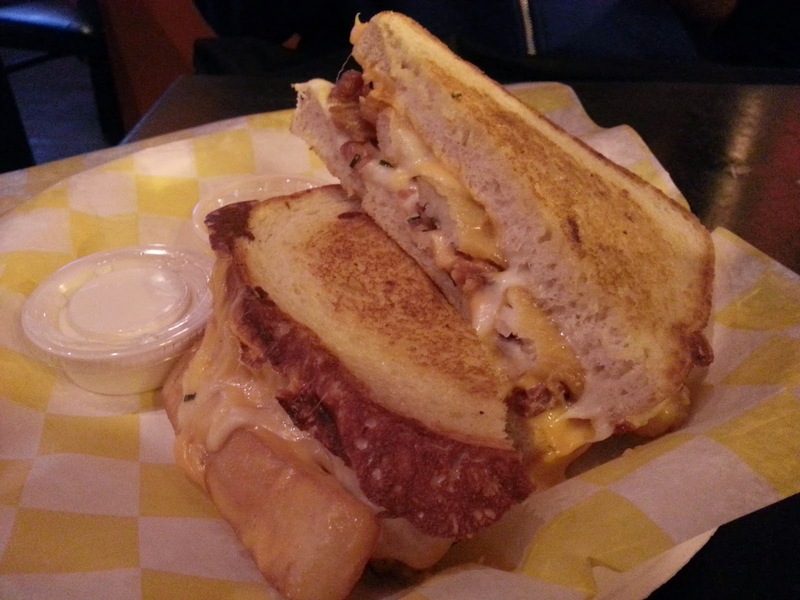 My favorite sandwich is The Mac, because there is nothing better than mac & cheese in a grilled cheese sandwich! 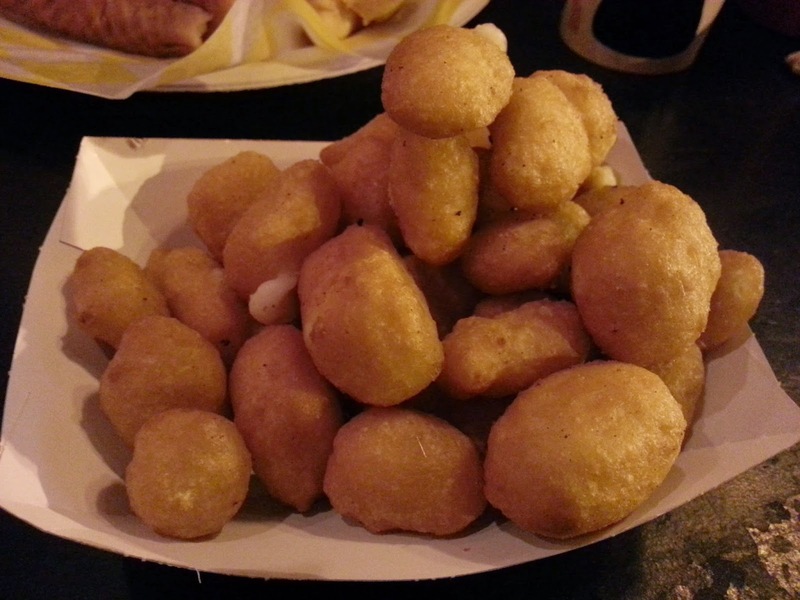 Cheese Curds - Fried Cheese curds served with ranch. The Frenchie - American cheese, mozzarella cheese, cheddar cheese sauce, classic thick cut french fries, bacon and chives on sour dough bread. Served with a side of sour cream. 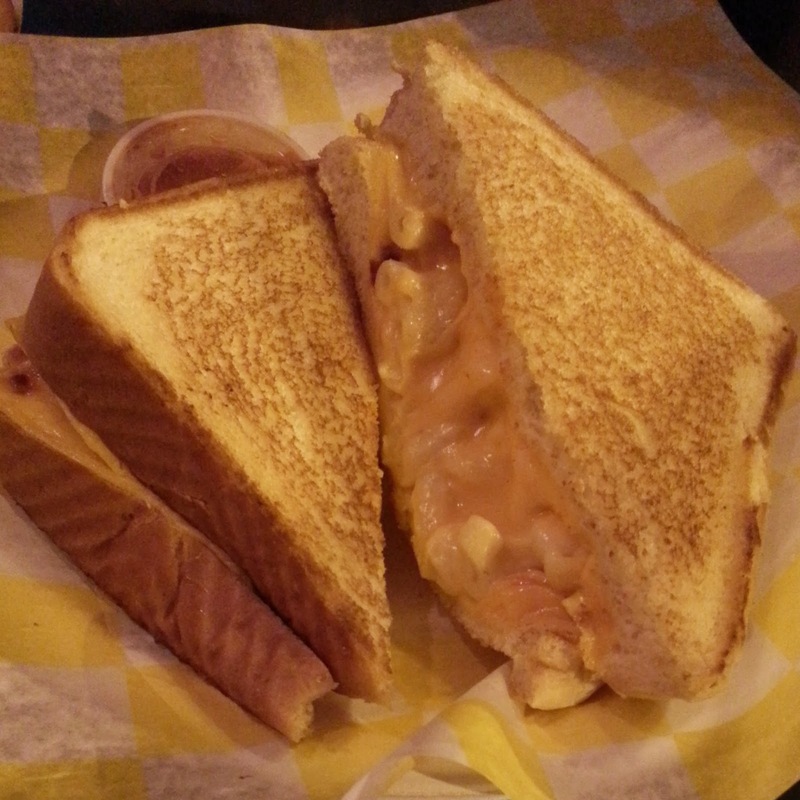 The Mac - American cheese, Merkt’s cheddar cheese and homemade macaroni and cheese on Texas toast. Served with tomato soup dipping sauce. 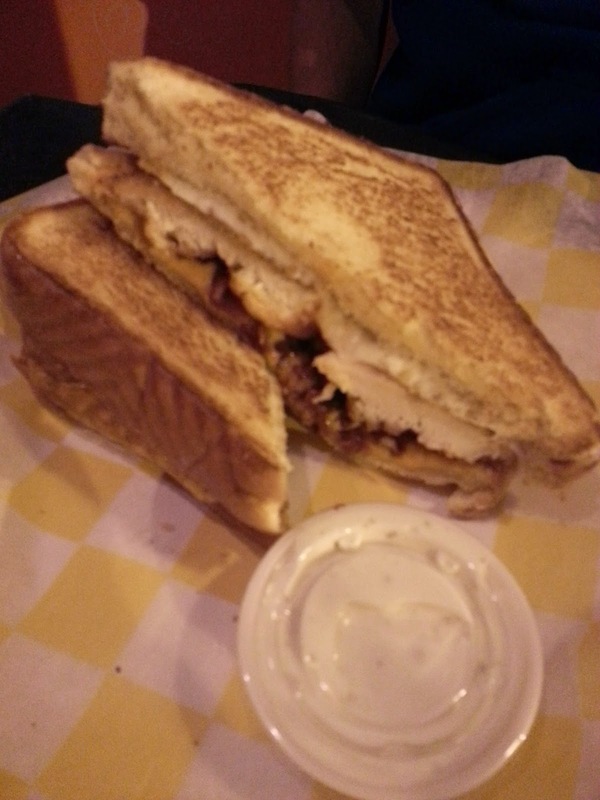 The Tenderizer - Cheddar cheese, Mozzarella cheese, hot sauce, bacon, fried chicken tenders and Sweet Baby Ray’s BBQ sauce on Texas toast. Served with ranch dipping sauce. 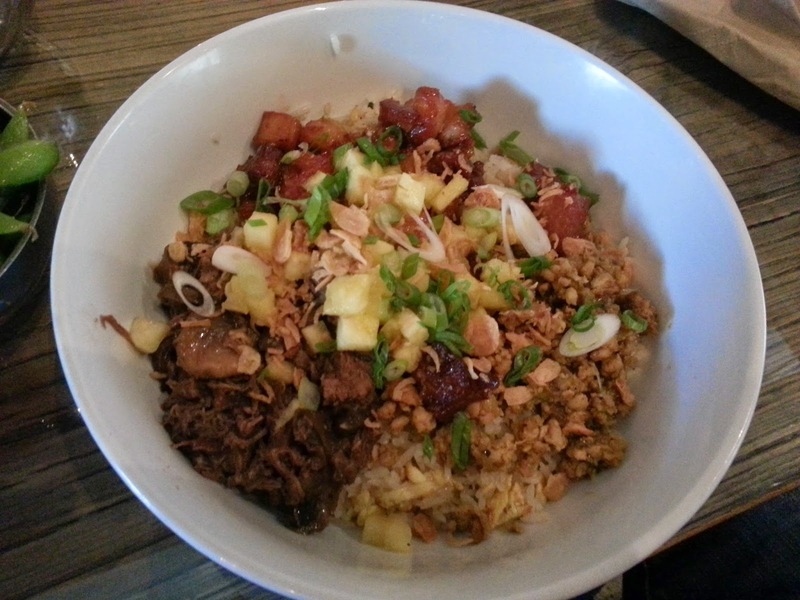 Another favorite of ours is BopNgrill near Loyola.Their menu is Korean inspired and very diverse. 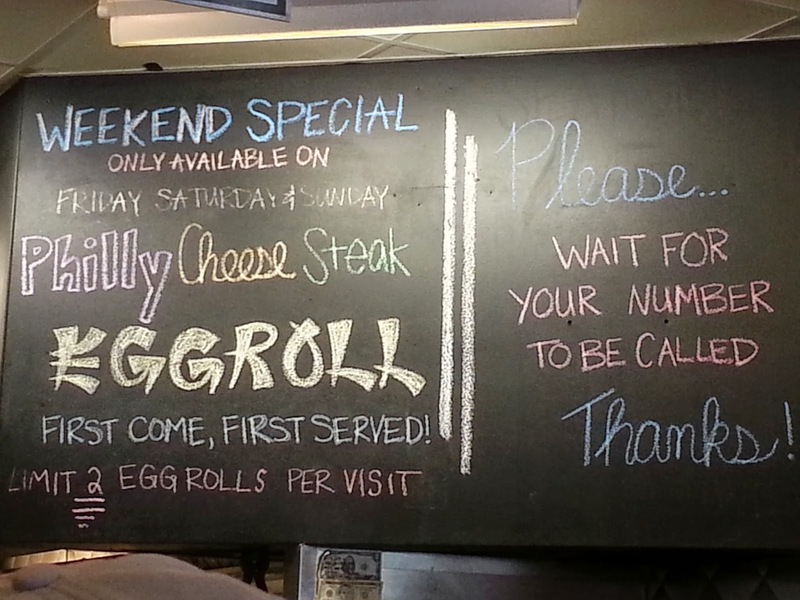 The Philly Cheese Steak Eggrolls hold a spot on my Wall of Fame and I make sure to get them every time we visit Chicago. They are only sold on the weekends, and when they sell out, they are gone until the next week! My husband always gets the Father Burger, as this is his favorite burger of all time. There is so much going on with it that he has to eat it with a knife and a fork! 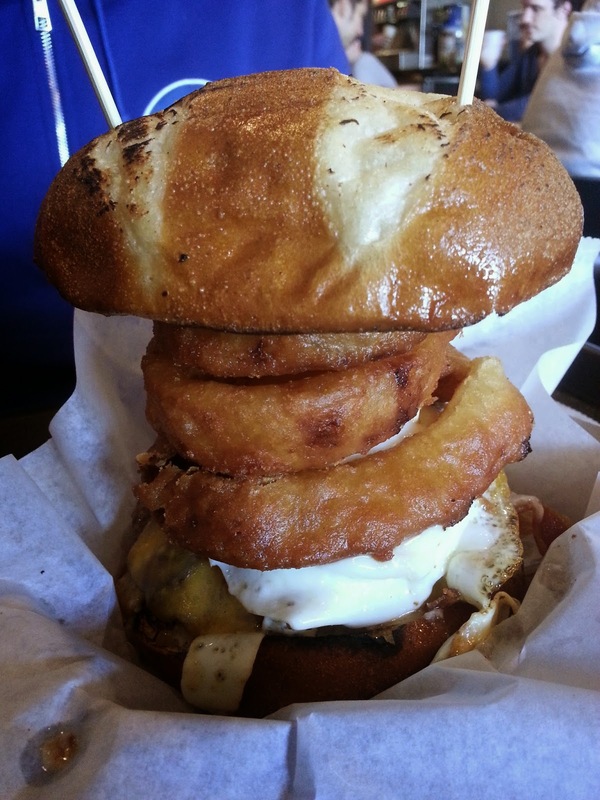 Father - double patty, fried egg, beer battered onion rings, bacon, sharp cheddar/American, bbq sauce, mayo. A trip to Chicago would not be complete without some deep dish pizza! 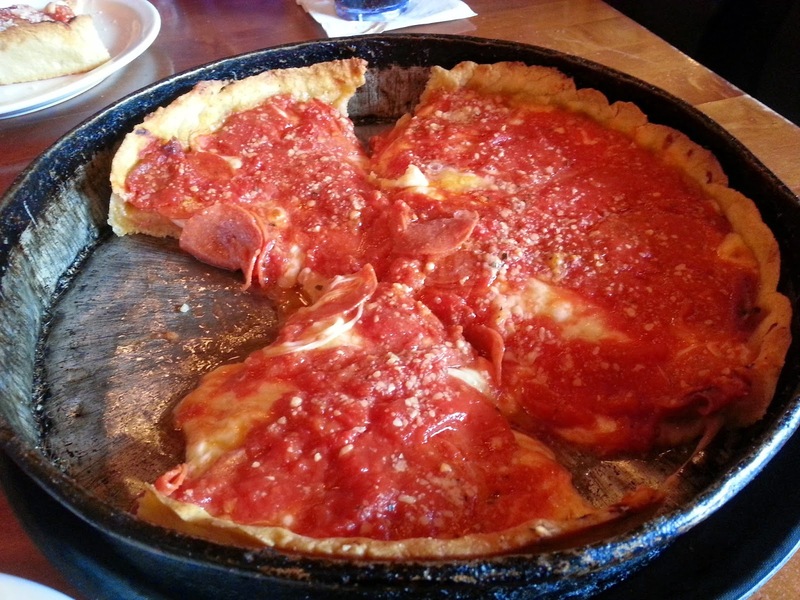 We have tried a few different places, but I like Lou Malnati's the best. 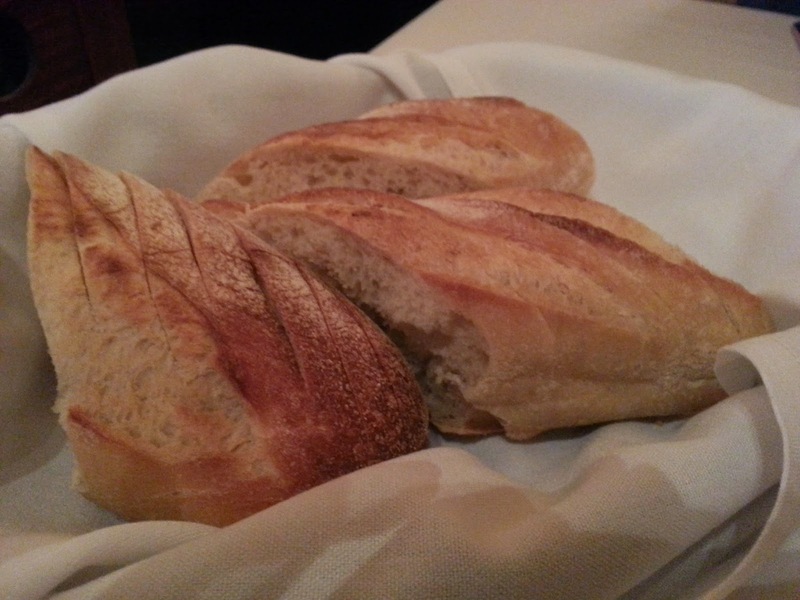 The crust is what sets them apart. It is so buttery and soft. 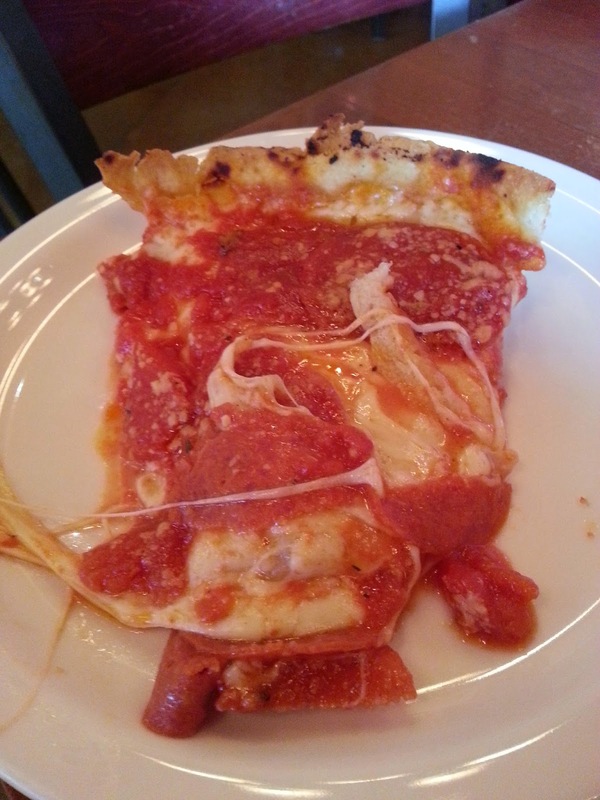 I love how Chicago deep dish pizzas have the toppings on the bottom, then the cheese, then the sauce. It's different than what we are used to, but it works! 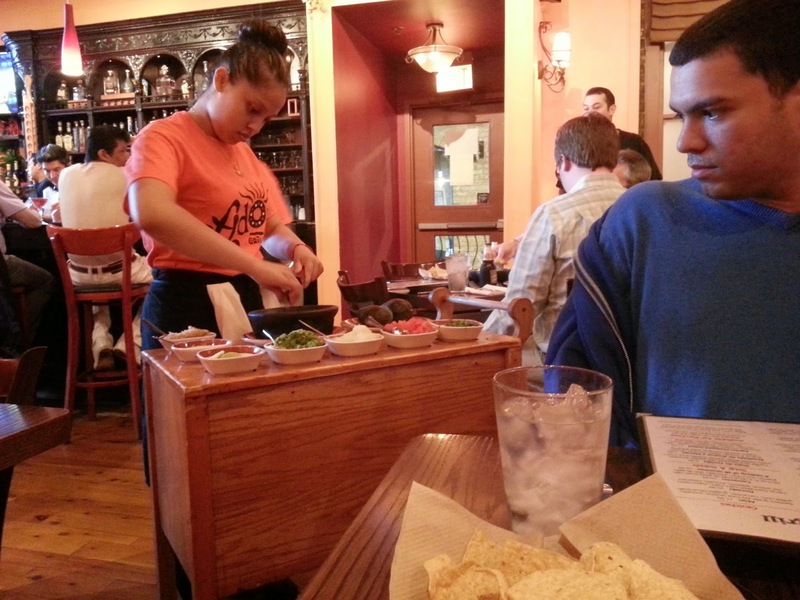 Very conveniently located next door to The Second City comedy club is Adobo Grill. 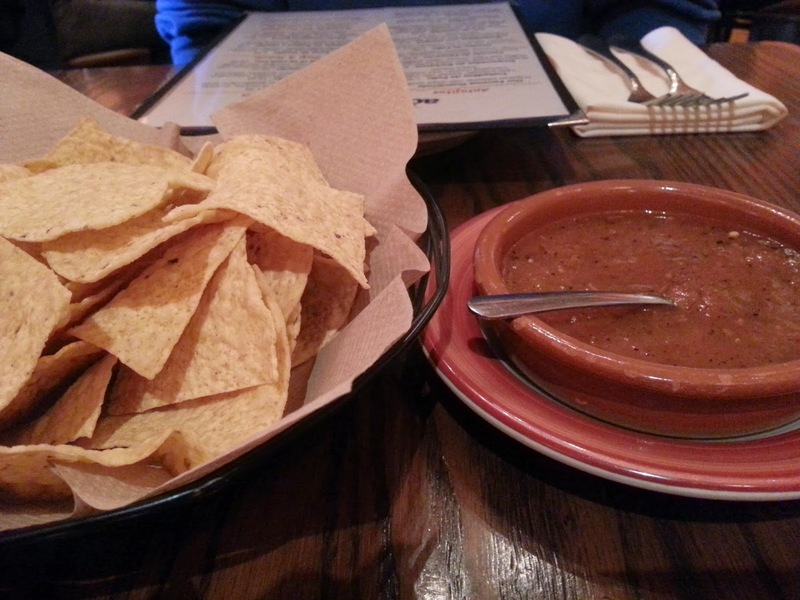 They are an upscale Mexican restaurant and one of our favorites. 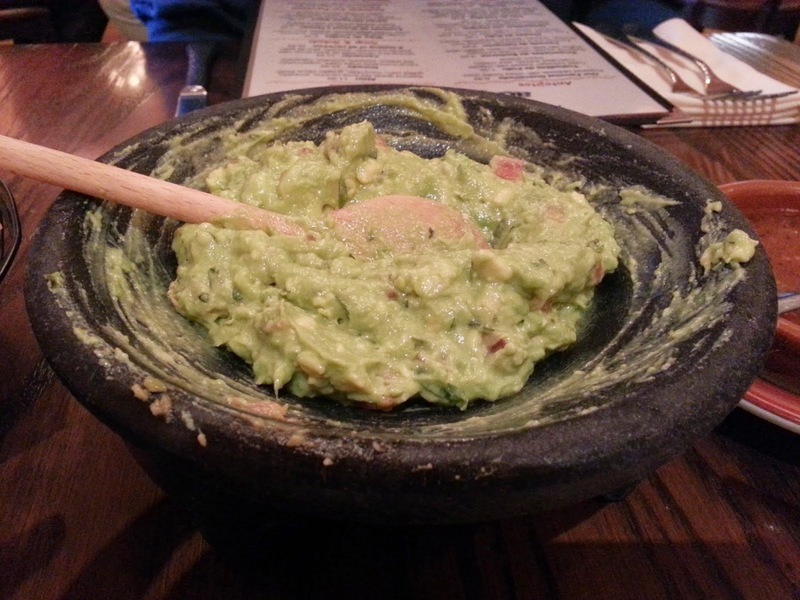 The table side guacamole is not to be missed! 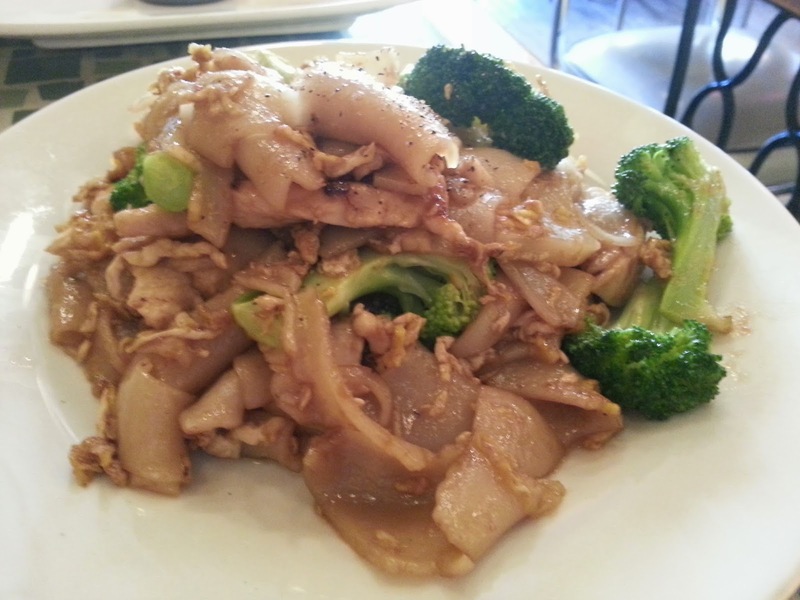 It is enough to easily feed 4 people, and they can customize it to your liking. Guacamole. 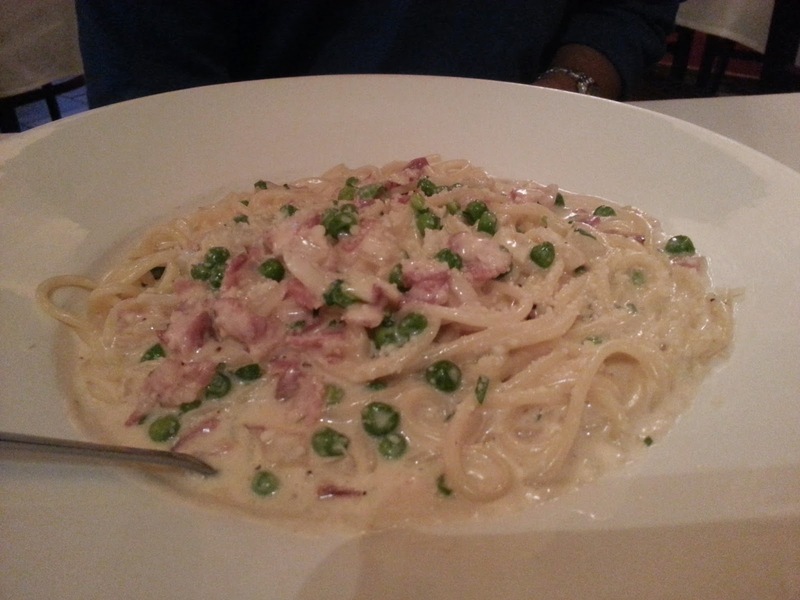 A very large portion! 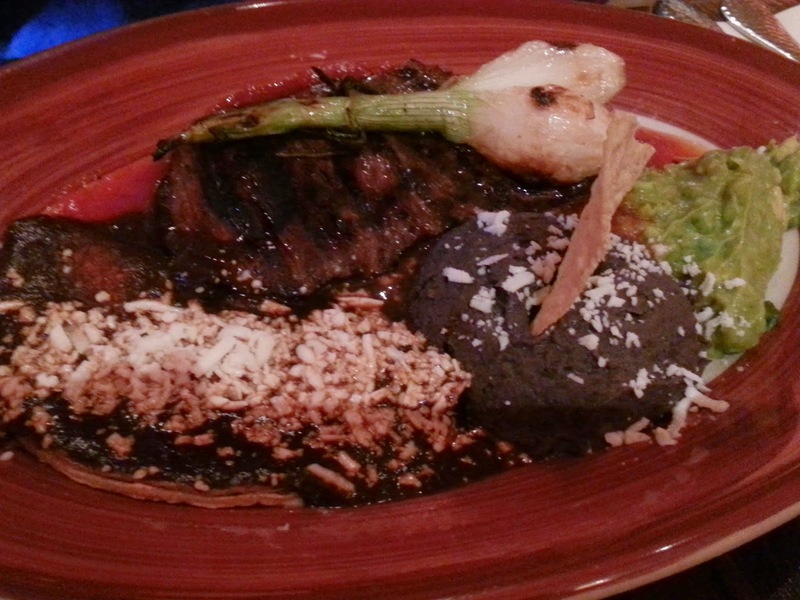 Carne Asada - Marinated grilled skirt steak, cheese enchilada, guacamole, refried black beans, molcajete salsa. 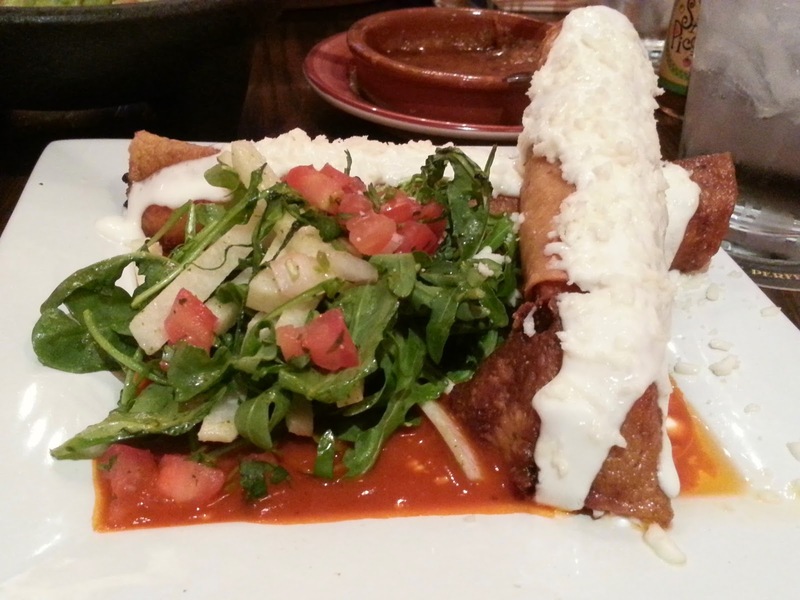 Flautas de Pollo - Two rolled-up corn tortillas stuffed with chicken, salsa verde, cheese, sour cream. Urbanbelly was our best find of the trip. I was randomly searching for a noodle place, and came across them. After looking at the pictures and reviews, we decided to give it a shot. After one bite, we knew we had a keeper! I got the Urbanbelly Ramen. 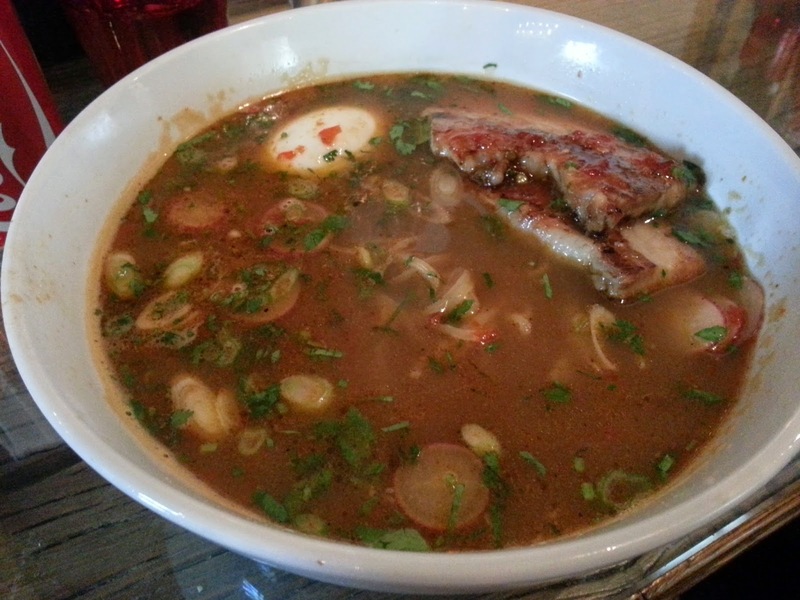 The ramen was so flavorful and the pork belly portion was large. The soup base was so tasty that I drank most of it after I ate the goodies out of the soup! 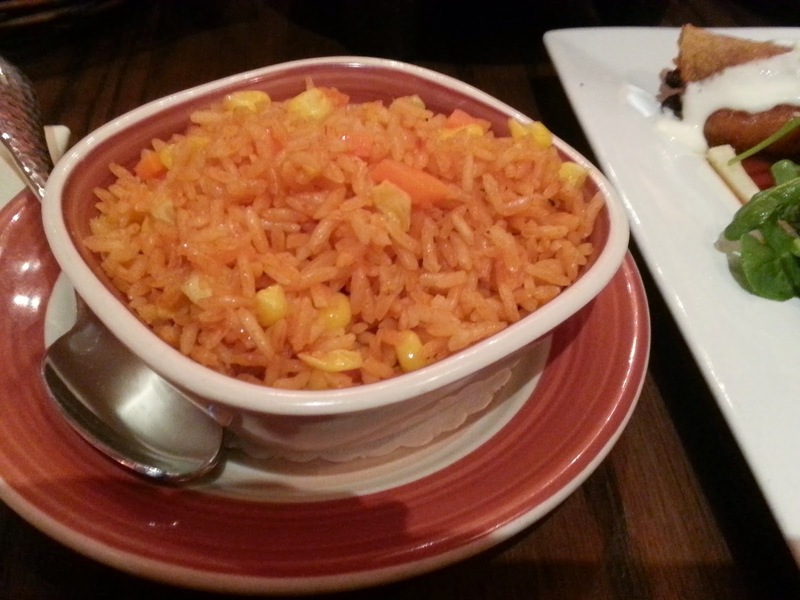 Ivan got the Phat Rice and said it was one of the best rice dishes he has had. So many different components that blended well together. 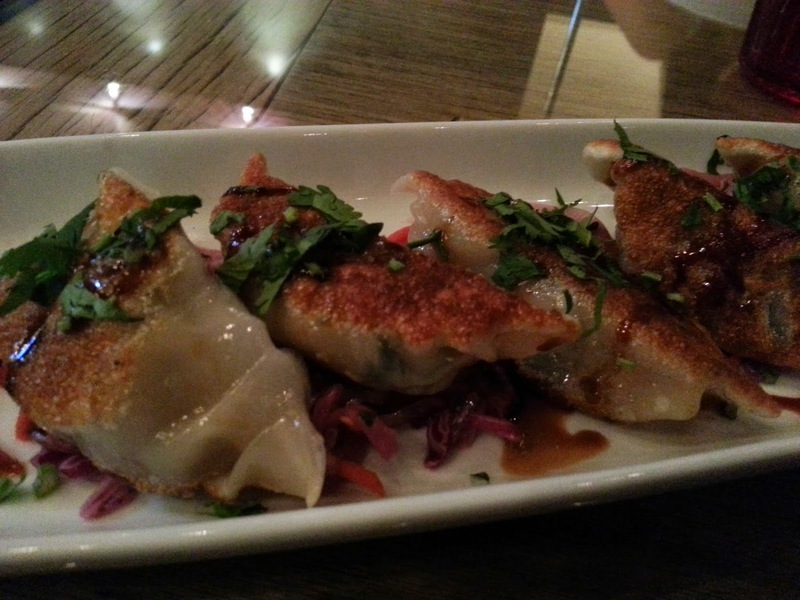 We also ordered some potstickers, and I have to say that they are the best ones I have ever had! 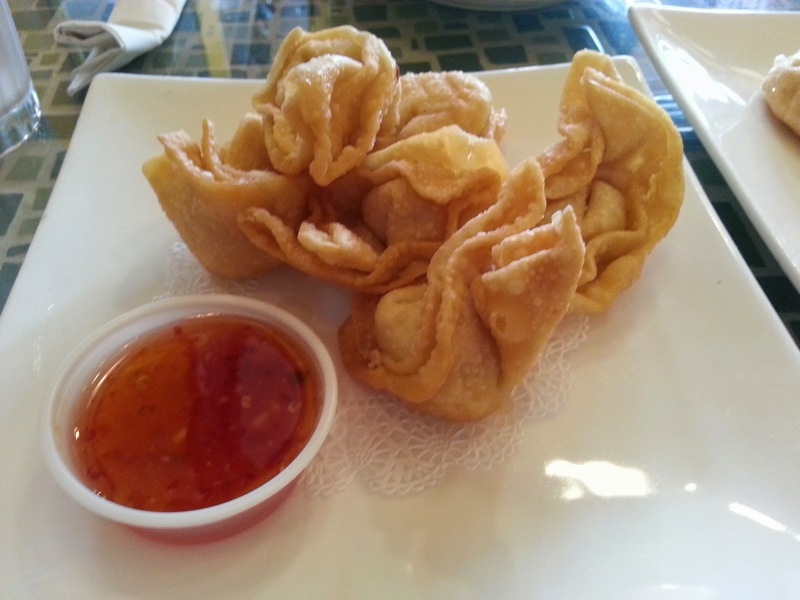 Plus, the soy sauce that was served with them was phenomenal as well. 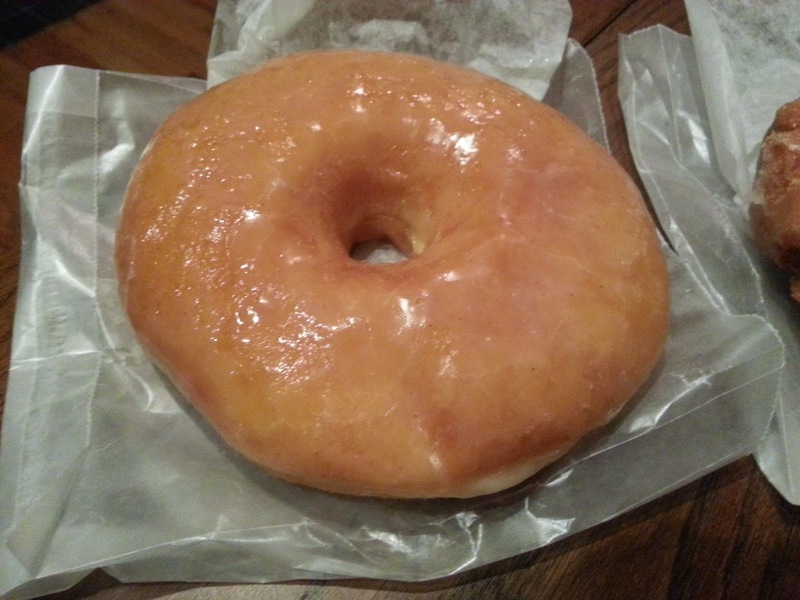 We also got some edamame and donuts for dessert. 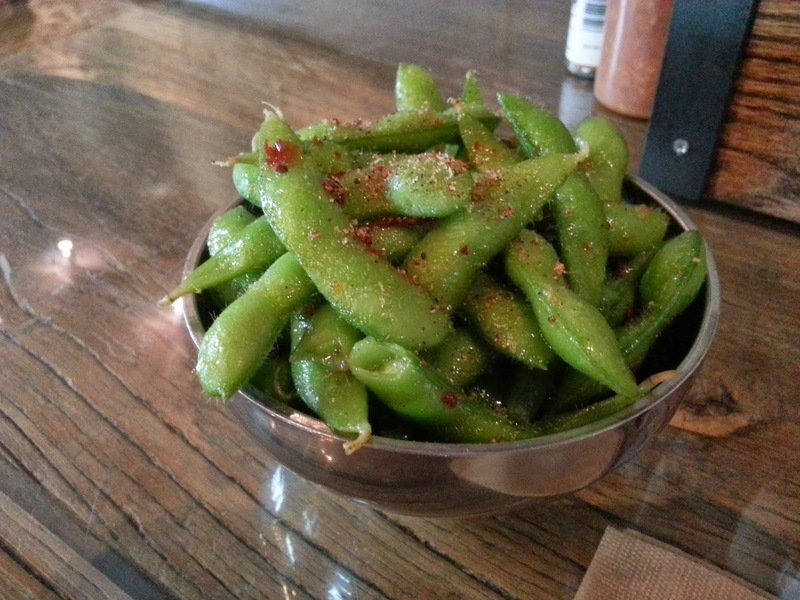 The edamame was good, but the donuts were outstanding!! They had the perfect combination of savory and sweet. 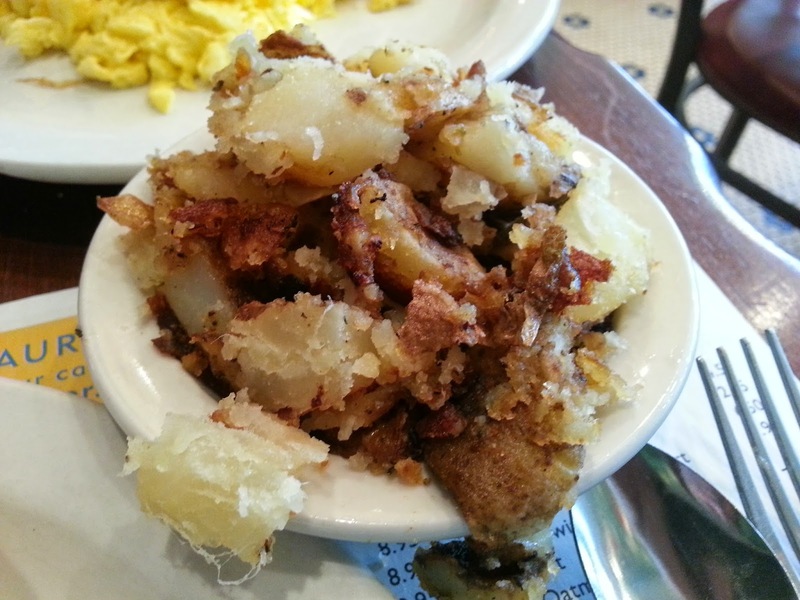 Ann Sather Restaurant has been a Chicago staple since 1945. 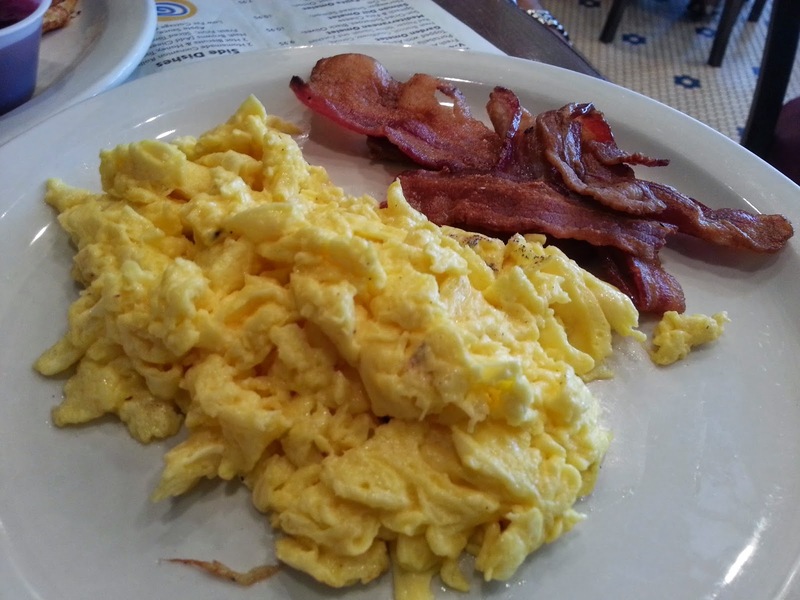 They are diner who merge American and Swedish cuisines quite well. We decided to have breakfast for lunch, and got more than we bargained for! 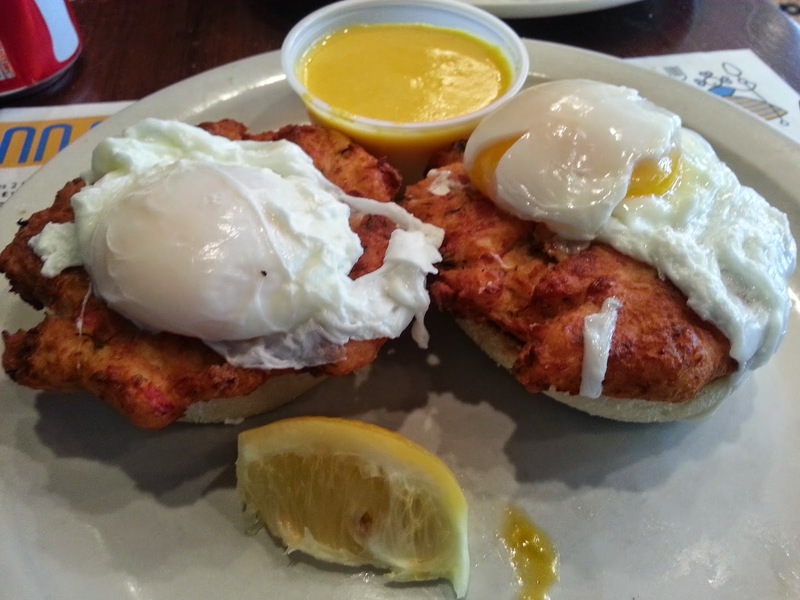 I ordered the crab cake benedict with hash browns and cinnamon rolls as my side. 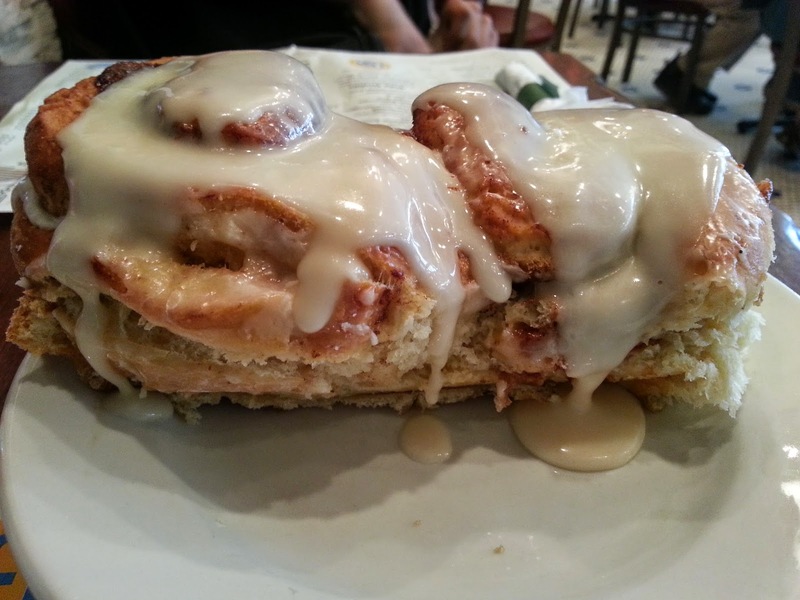 The cinnamon rolls came out first, so we dug in. OMG! So gooey and warm right out of the oven. I couldn't believe that these were side orders. Seems like they should make these an entire meal, but I'm not complaining!! The benedict was also very good. 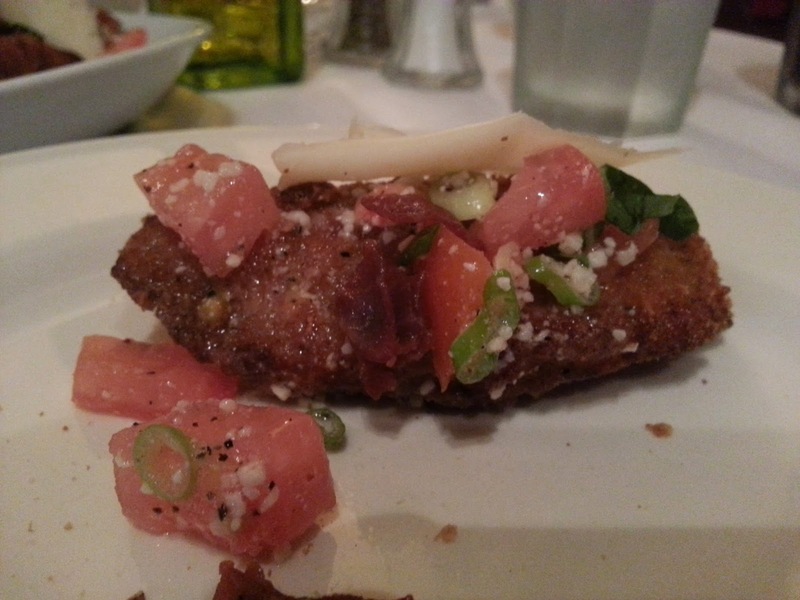 The crab cakes had lots of crab and very little filler. Ivan got Swedish pancakes. 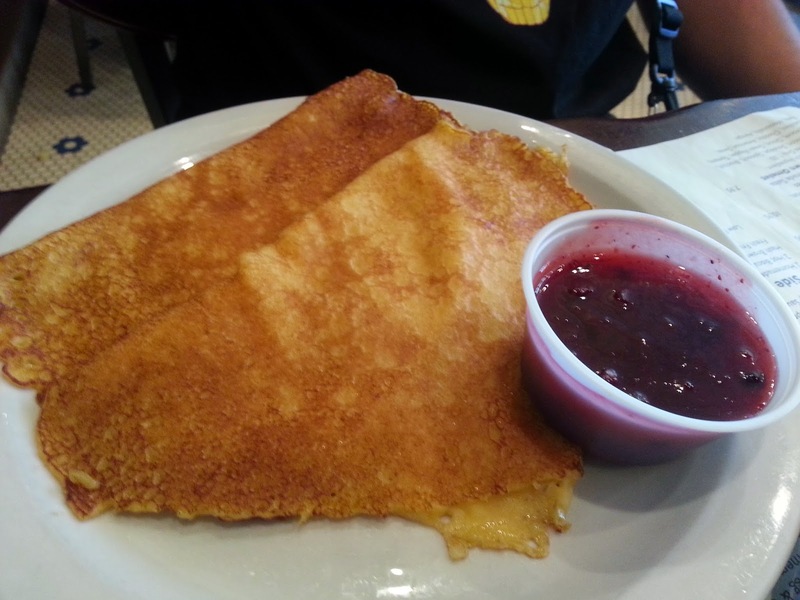 We have never had them before, and were pleasantly surprised to learn that they are sort of like crepes. Very thin, but with lots of flavor. 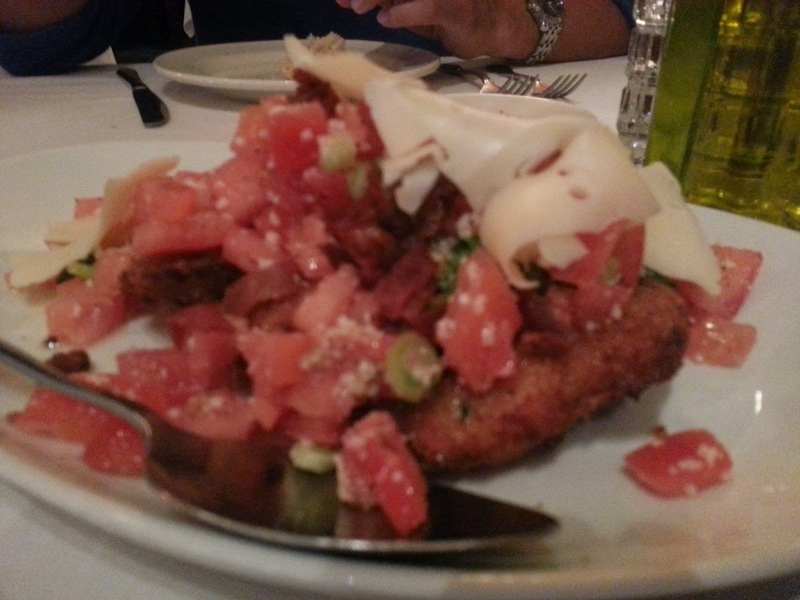 We were staying in Little Italy, so the trip wouldn't have been complete without some Italian food! 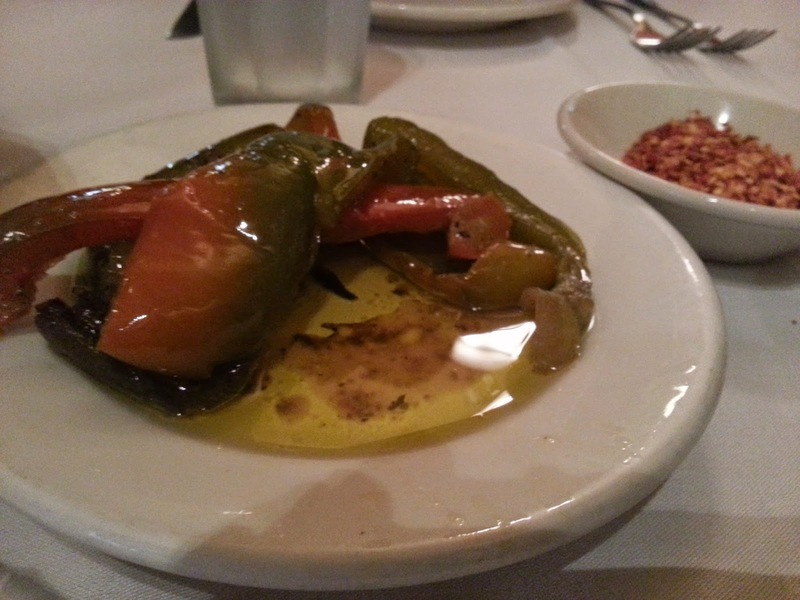 After doing tons of research, we ended up at Viaggio. I didn't even really look at the menu. 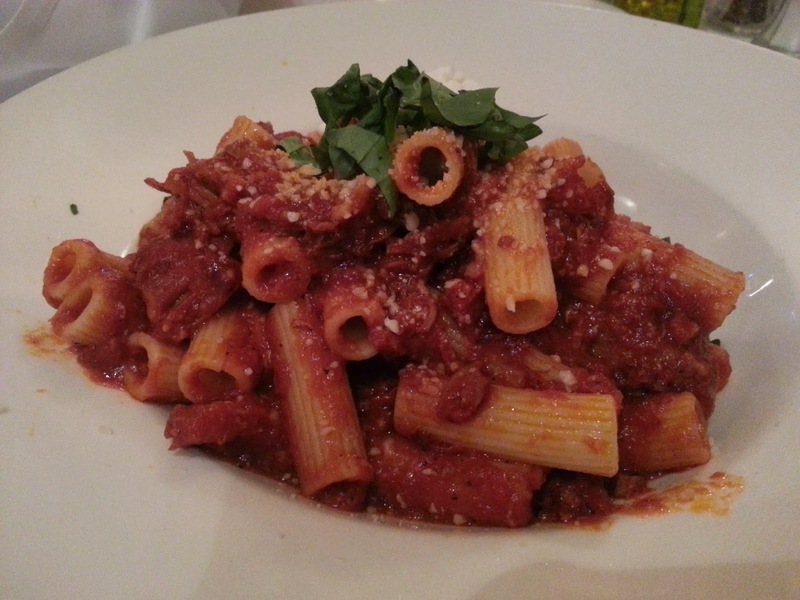 Once I saw the pictures of the rigatoni with Sunday pork gravy, I knew what I was getting! I have had Antique Taco on the agenda for years. Somehow we just never made it there, so this trip we were determined to go! 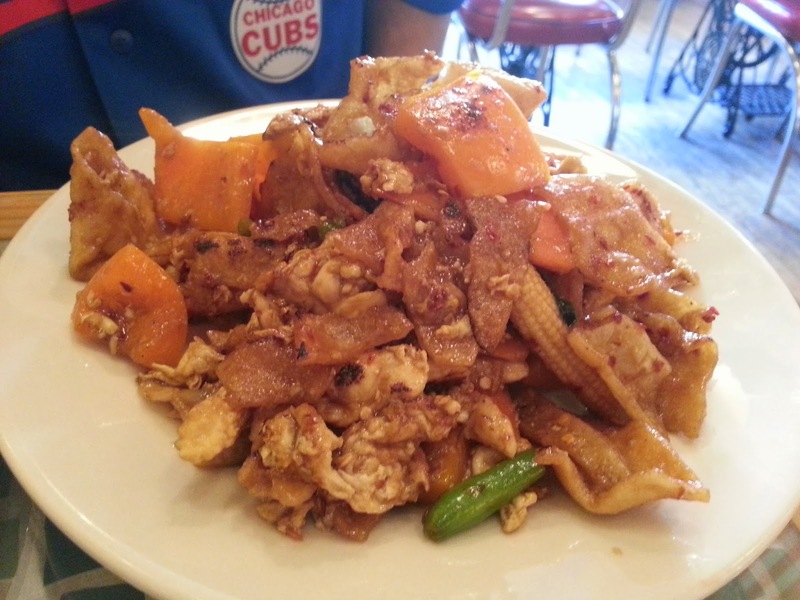 They are located in Wicker Park on a corner. The restaurant itself is a gem. 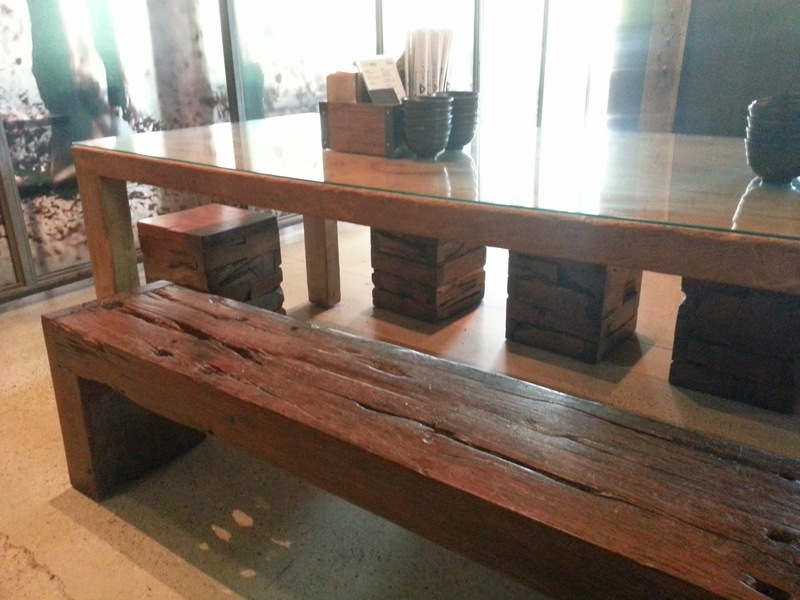 They call themselves Antique Taco for a reason, there are antiques everywhere! From the tables to the decor, everything is an antique. It gave the place such a unique, hip feel. 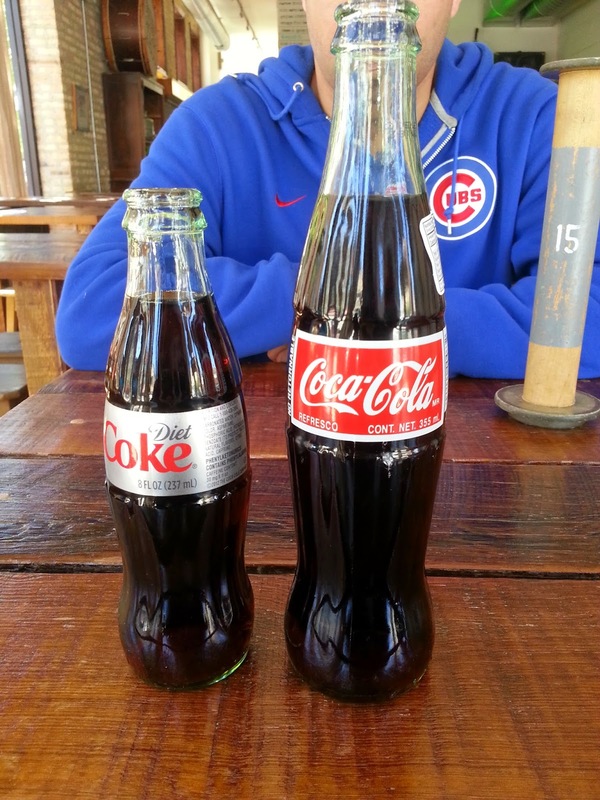 We got a Coke, a Diet Coke, and a bit of nostalgia with these cute bottles! Also, check out the antique spool in the back. That is our order number. We got the Chili Cheese Curds for an appetizer. I can't even put into words how good these were! 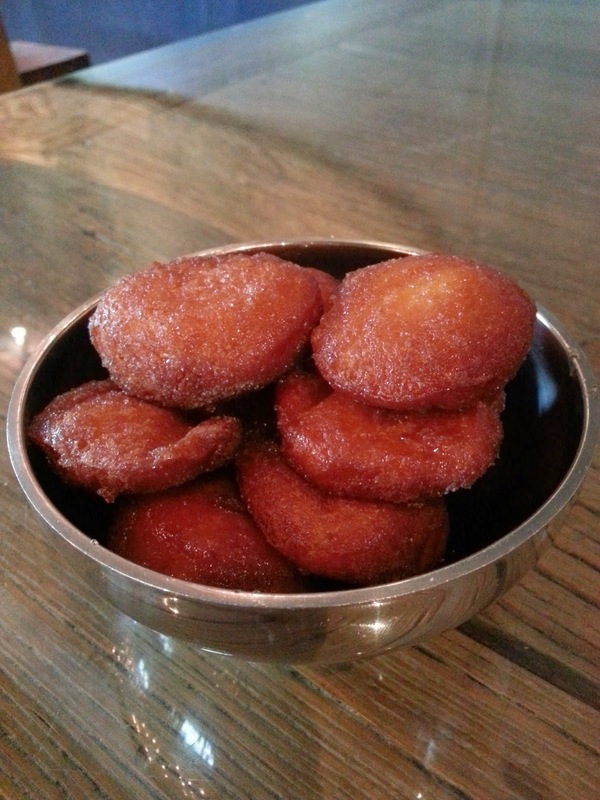 The batter was very light, kind of like a beer batter. The chili at the bottom was so good that we were eating it with spoons after the curds were gone! 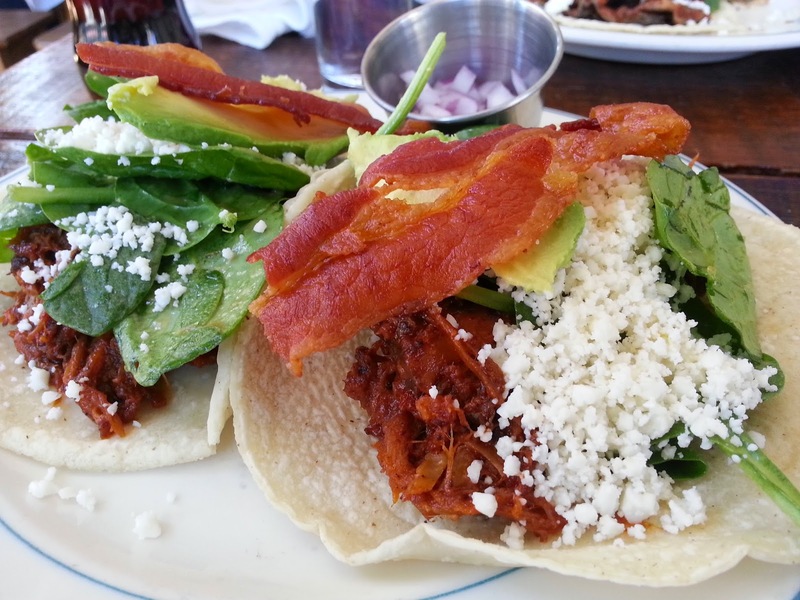 Pork Carnitas - Adobo Rub, Tamarind Glaze, Bacon, Spinach, Onion, Avocado, Queso Fresco. 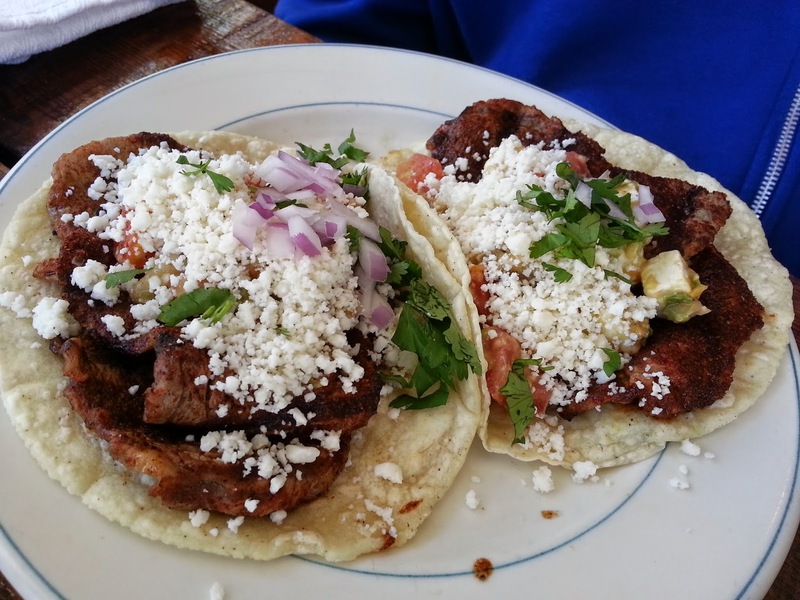 For these tacos, the rub is what made it great. Garlic Shrimp - Purple Potato, Black Bean, Edamame, Crispy Brussels. These were my favorite tacos of the bunch. 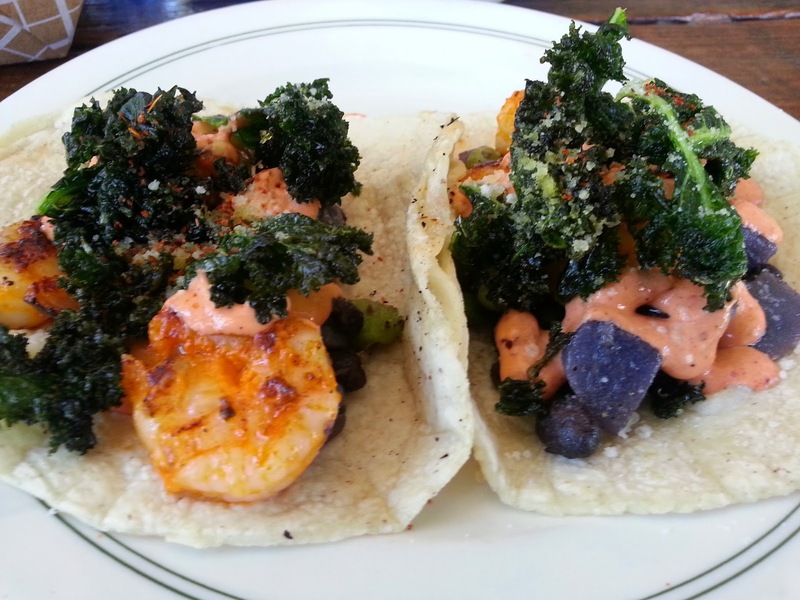 There were so many different items in these tacos, but somehow they blended perfectly! 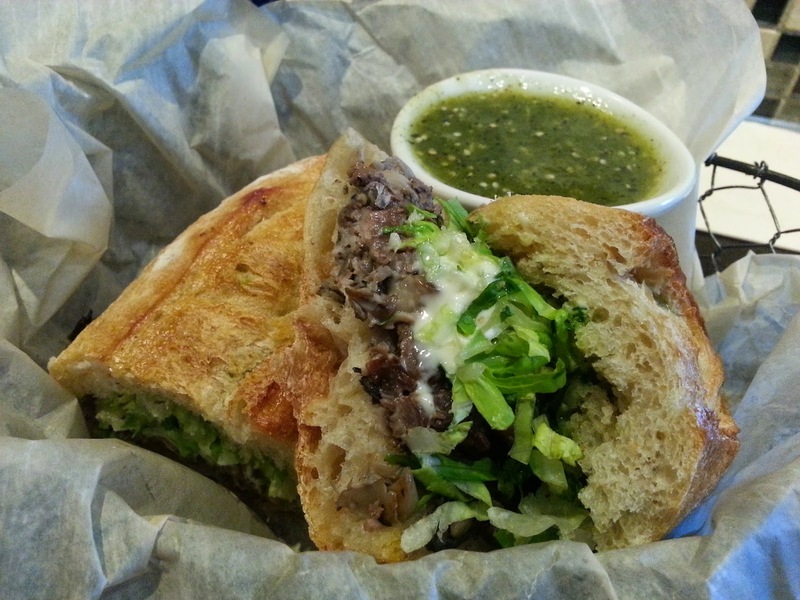 Grilled Ribeye - Heirloom Salsa, Queso Enchilado, Cilantro. Grilled Ribeye in a taco...enough said. 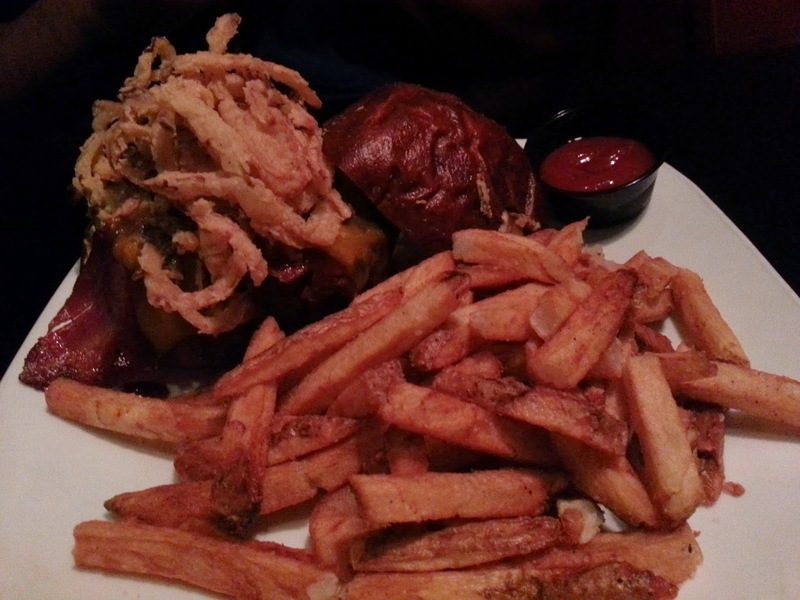 Kuma's corner is a burger joint, but unlike any one that you have ever been to. 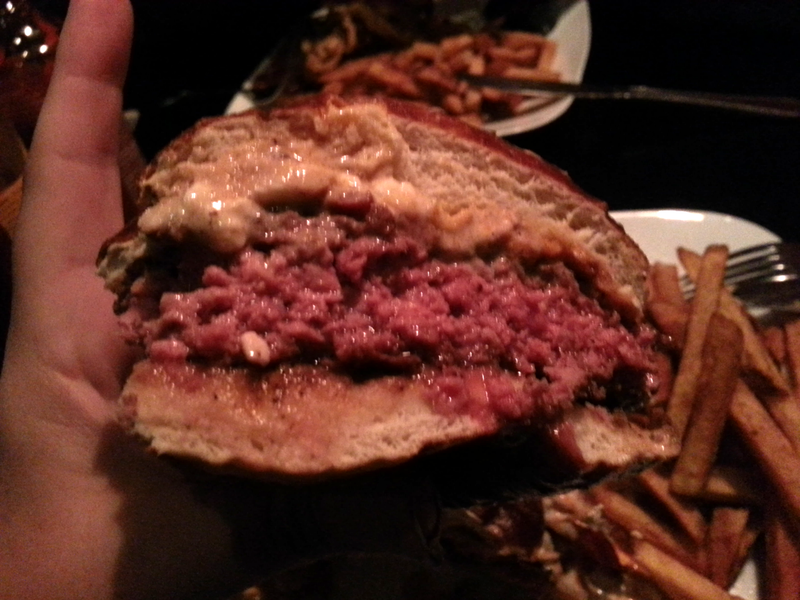 All of the burgers are named after heavy metal bands, and they have heavy metal playing in the restaurant! Love it! 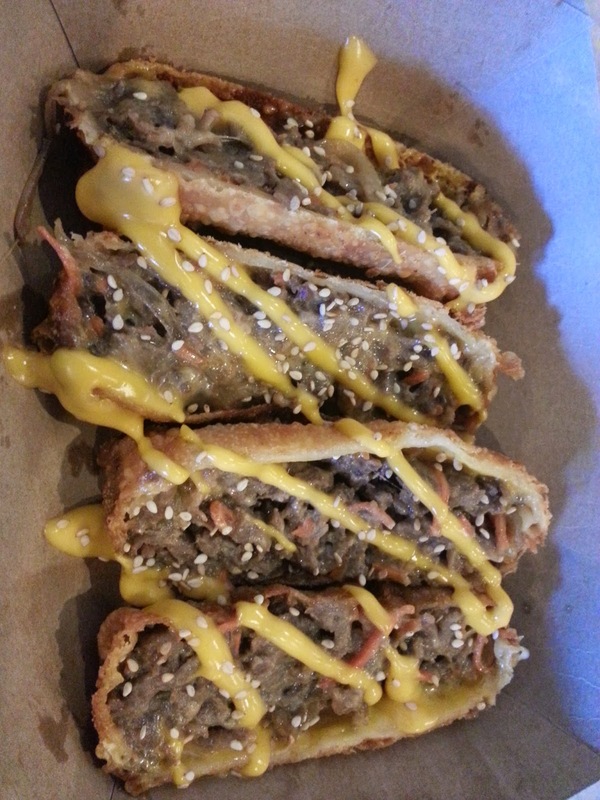 The burgers are very unique and have toppings that other restaurants wouldn't dare use, but Kuma's makes it work! 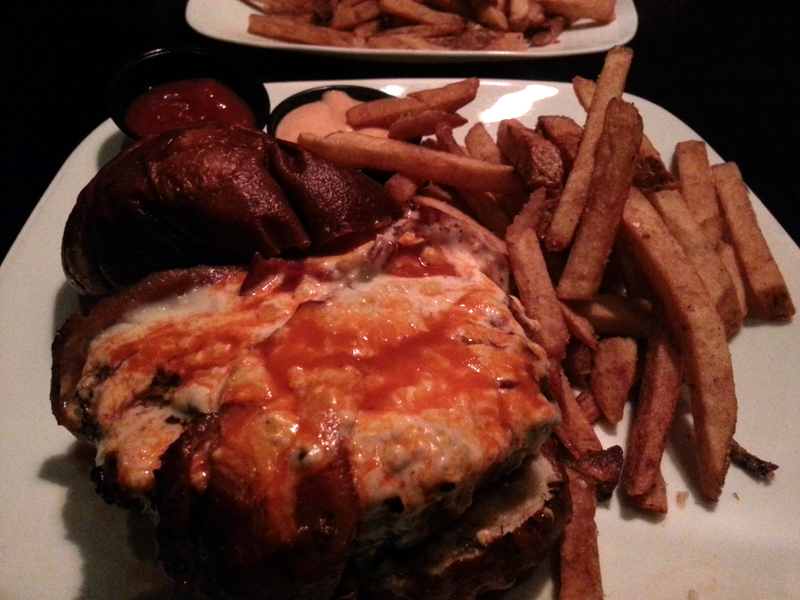 My favorite part, pretzel buns. I really wish that would catch on here in Jax! 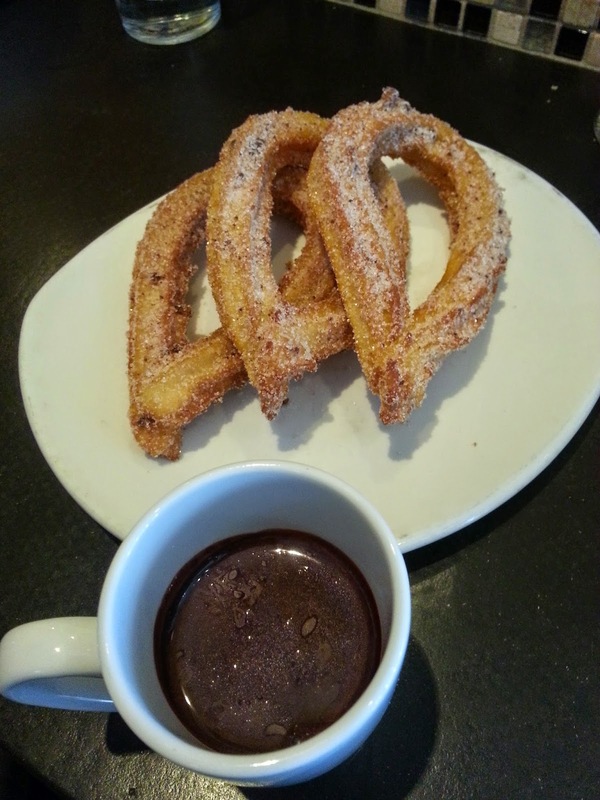 Xoco is one of Rick Bayless' many restaurants in Chicago. 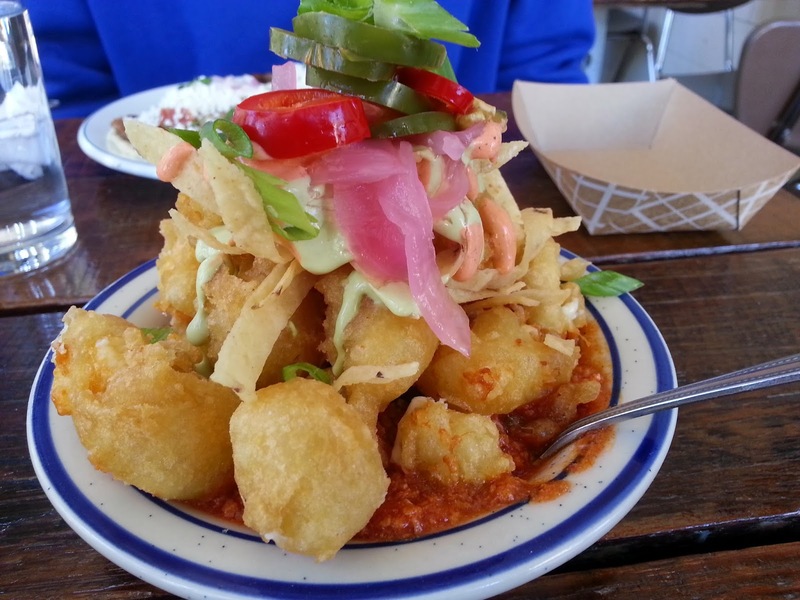 It is a modern take on Mexican food. 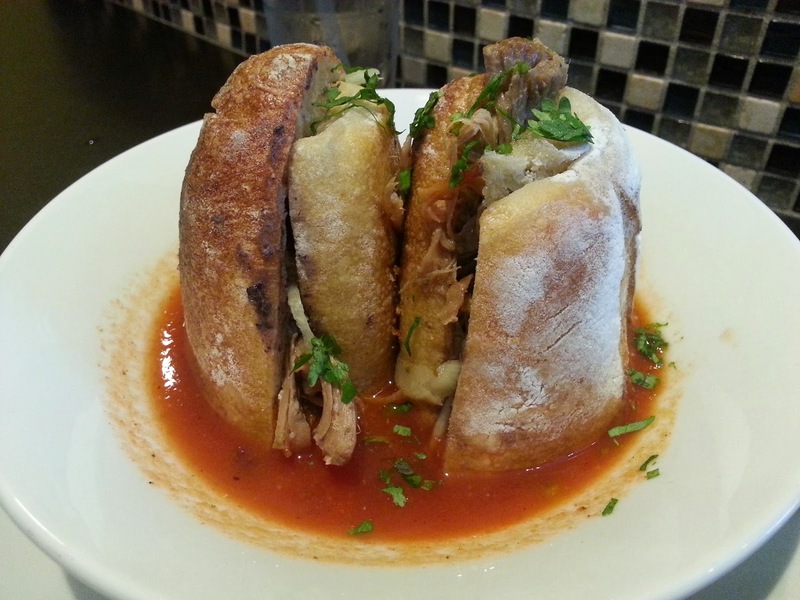 The menu is mainly tortas, but there are also other items that you can get. 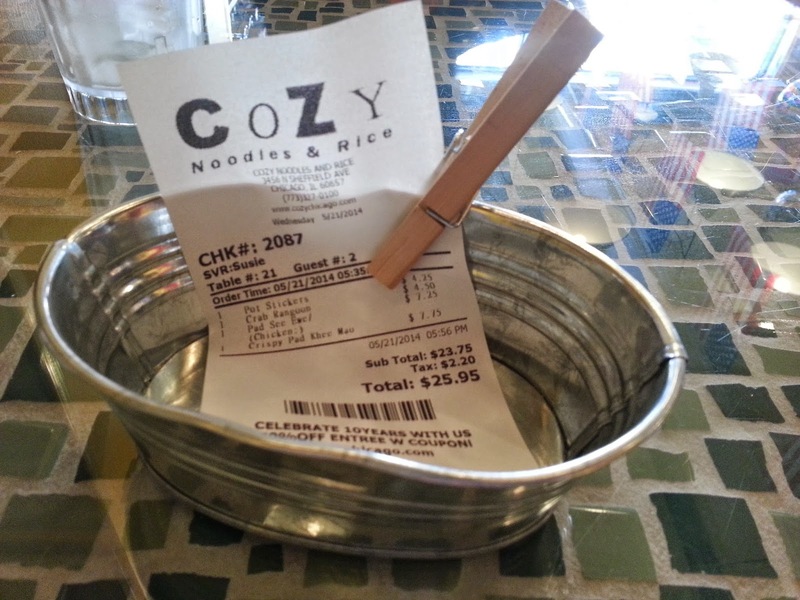 We were starving after a 12 inning Cubs game, so we ended up at Cozy Noodles & Rice. 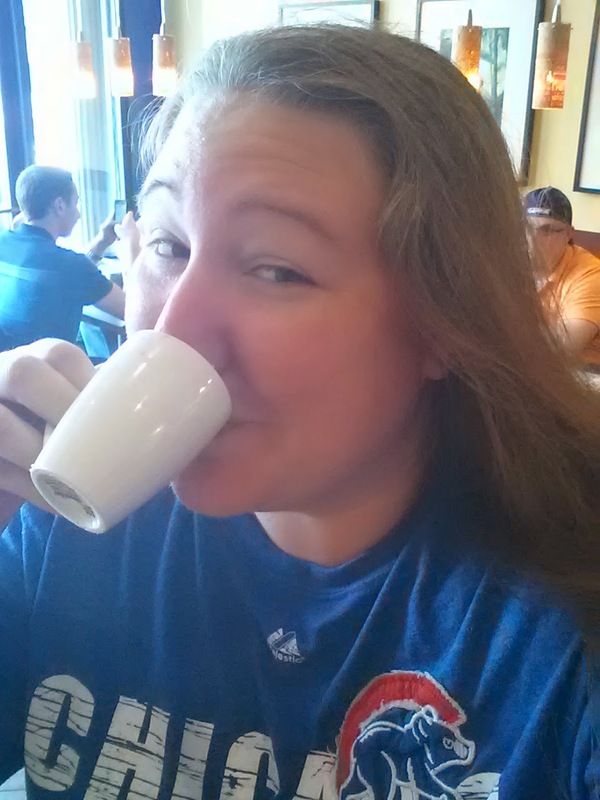 They are located just around the corner from Wrigley, so it was very convenient to walk there. The decor is not anything like you would expect to see in a noodle place. 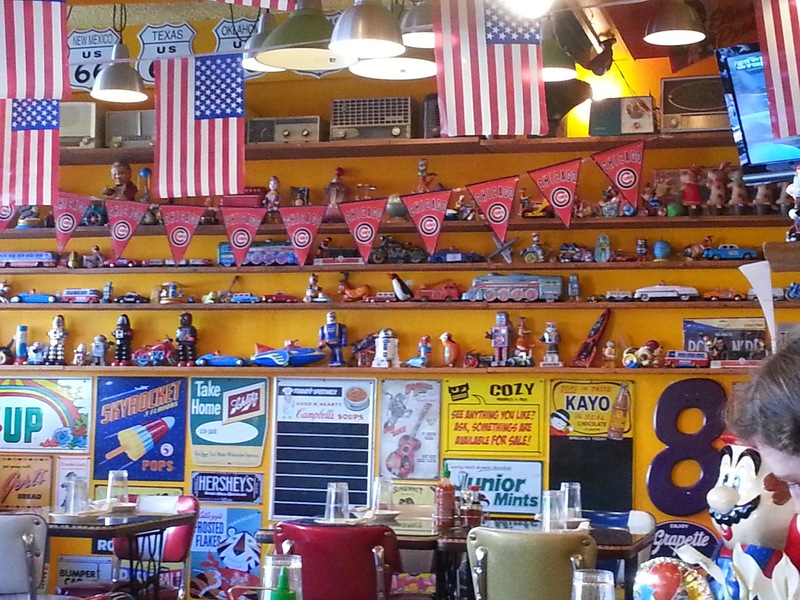 The walls are covered with old toys and signs. So cool! 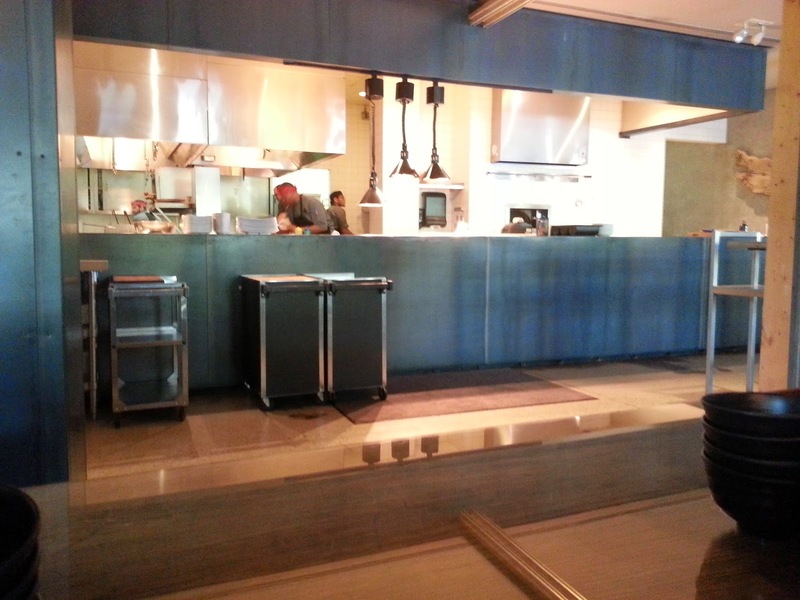 Even with the awesome decor, we weren't overly impressed with the food. It was just ok. However, the prices are extremely reasonable, so there is a trade off. Such a neat way to deliver our check! 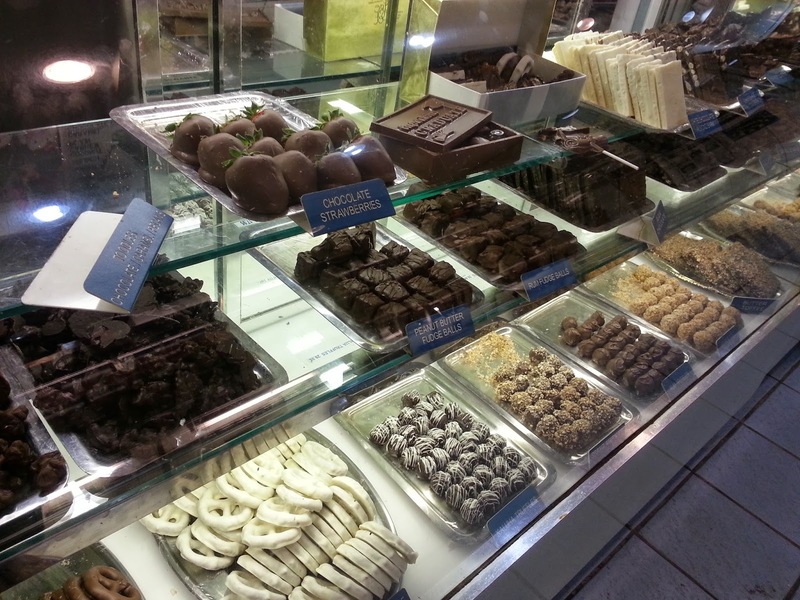 Fudge Pot might be the best chocolate shop ever. 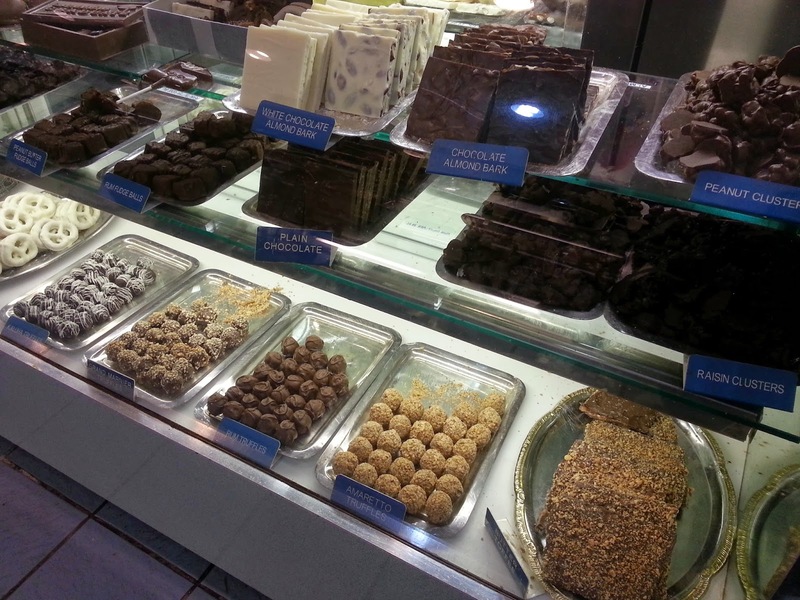 They are located in Old Town and are open until midnight! 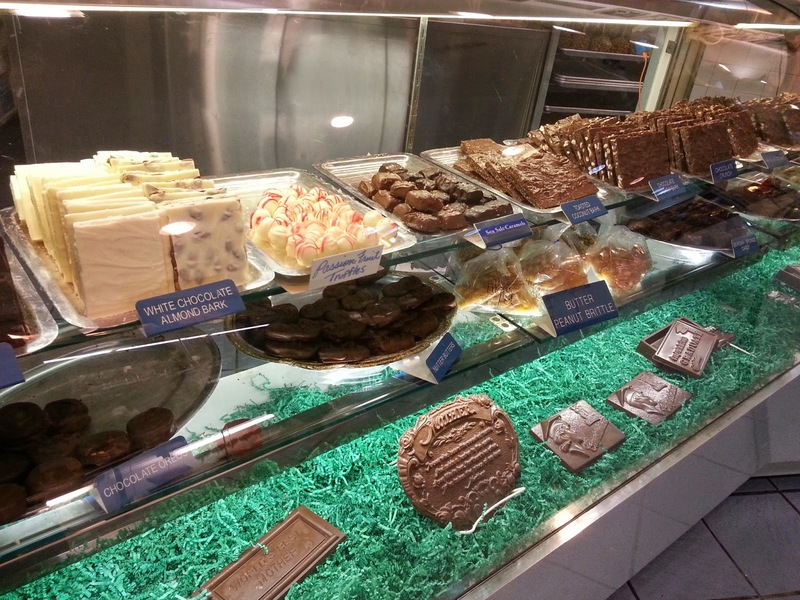 They have many different types of goodies, but you can't walk out of there without getting the butter toffee. If you don't take my advice on anything else, take it on this. The stuff is heaven. We buy at lease 2 lbs of it to take home for ourselves, and a couple of pounds for my family/friends. Also, we have been known to have it shipped to us here in Jax. Yep, we have a problem. 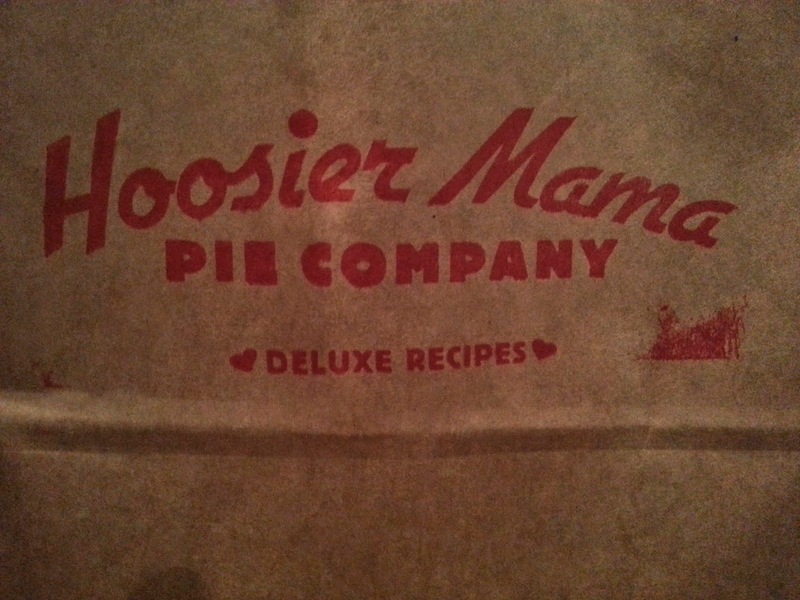 I was searching for ice cream and somehow came across Hoosier Mama Pie Company. 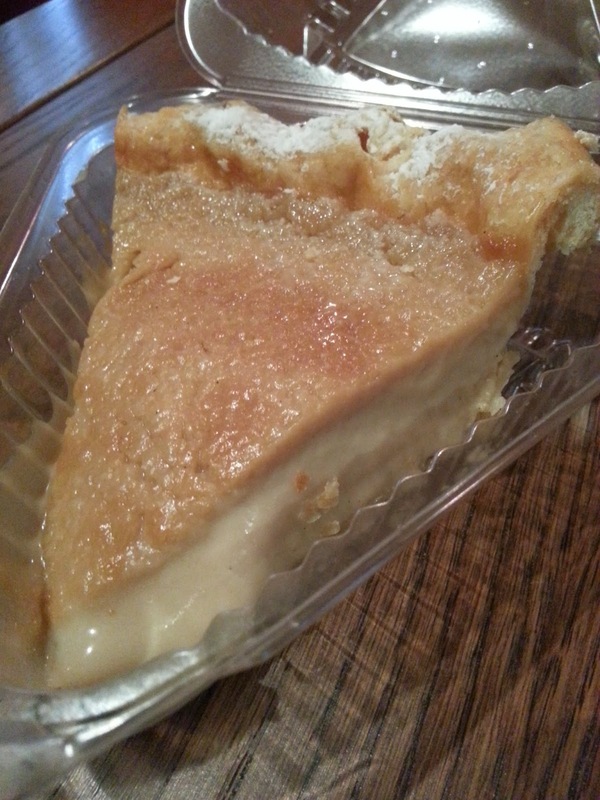 We don't have any pie shops in Jax, so we had to check it out. The store is a very tiny store front in Wicker Park. There are like 3 tables inside because that's all that will fit. 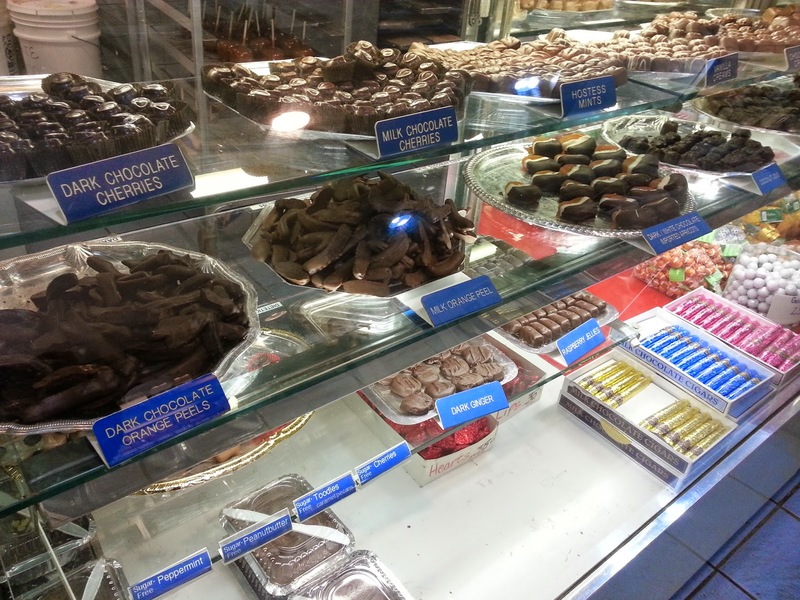 They have a display case with different pies and a menu that rotates daily. 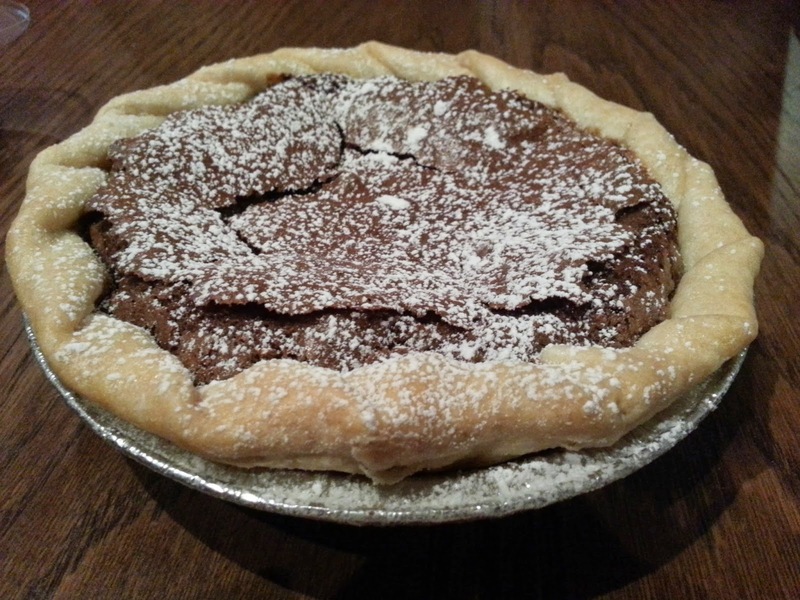 You can buy the pies by the slice or by the whole. 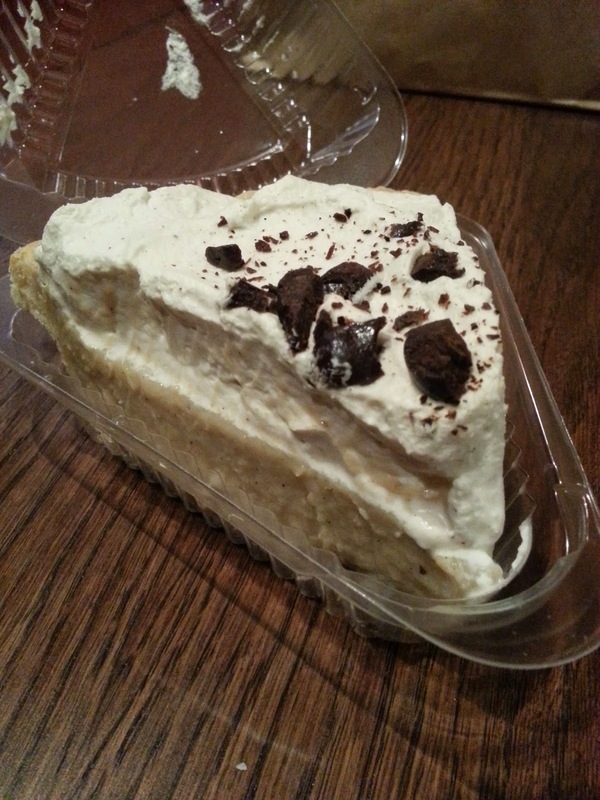 I like buying the small pies because it's a better value. $6 for a slice, or $8 for the whole? I'm buying the whole thing! 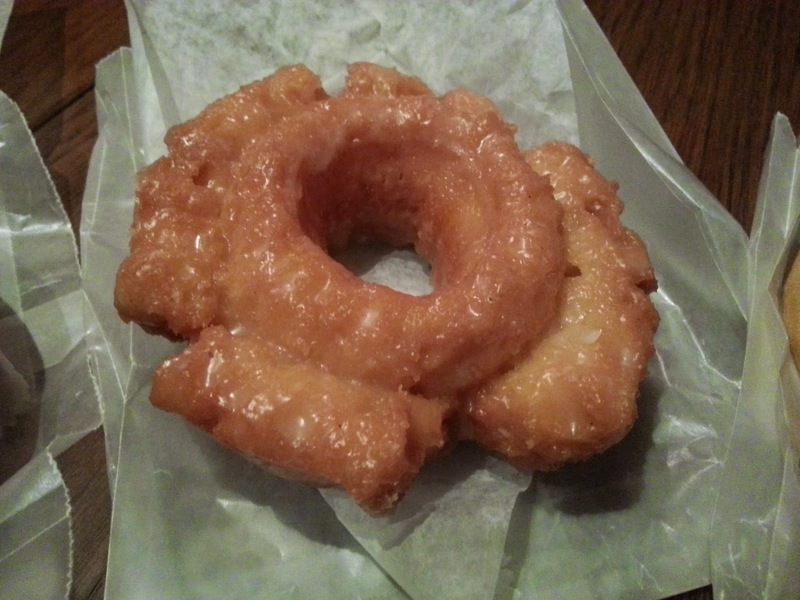 If you are in the mood for donuts, Firecakes will satisfy that craving! 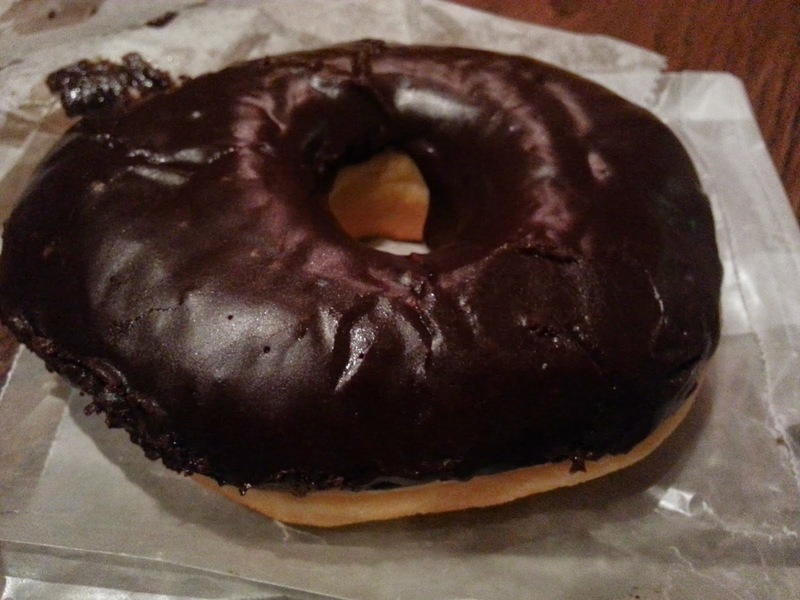 They have many different varieties, and they are not your average donut. Absolutely delicious! 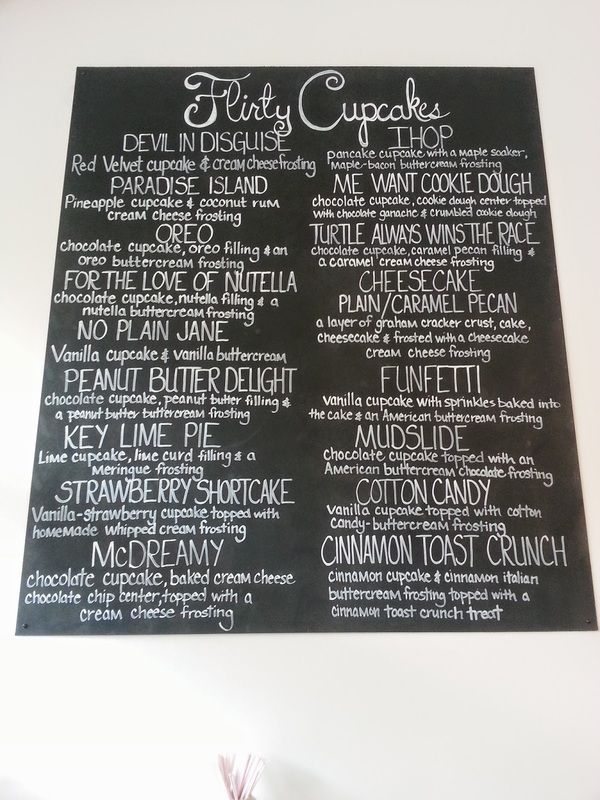 Flirty Cupcakes was the only thing we ate that was completely unplanned. 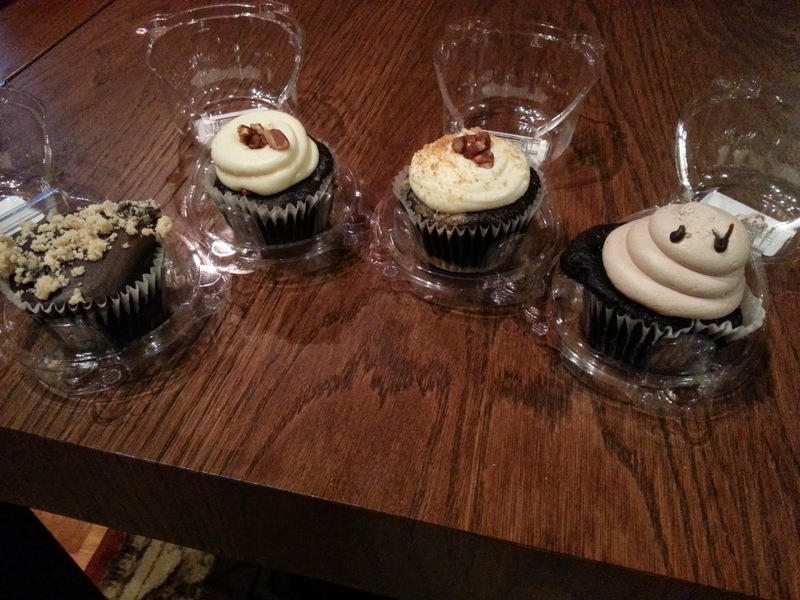 We were walking around and happened to see the cupcakes in the window. We had to go in! 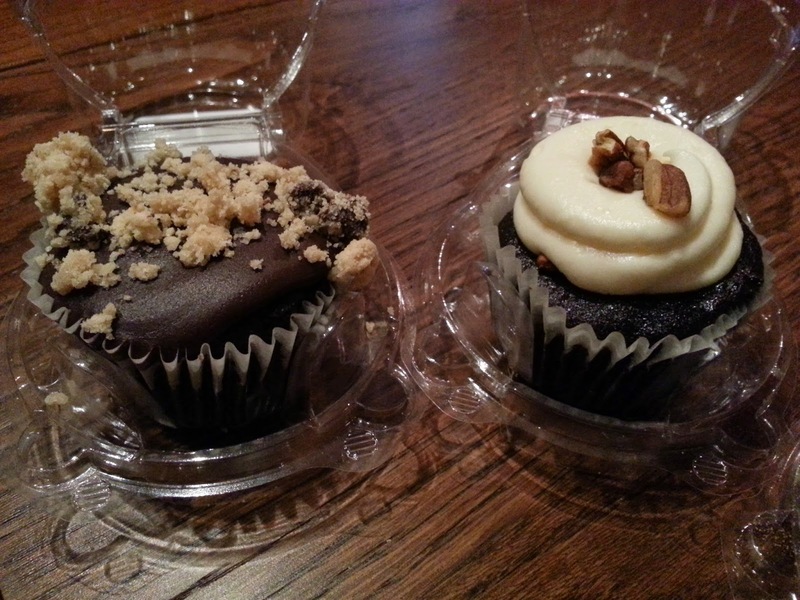 Me Want Cookie Dough - A chocolate cupcake with a cookie dough center topped with a chocolate ganache. 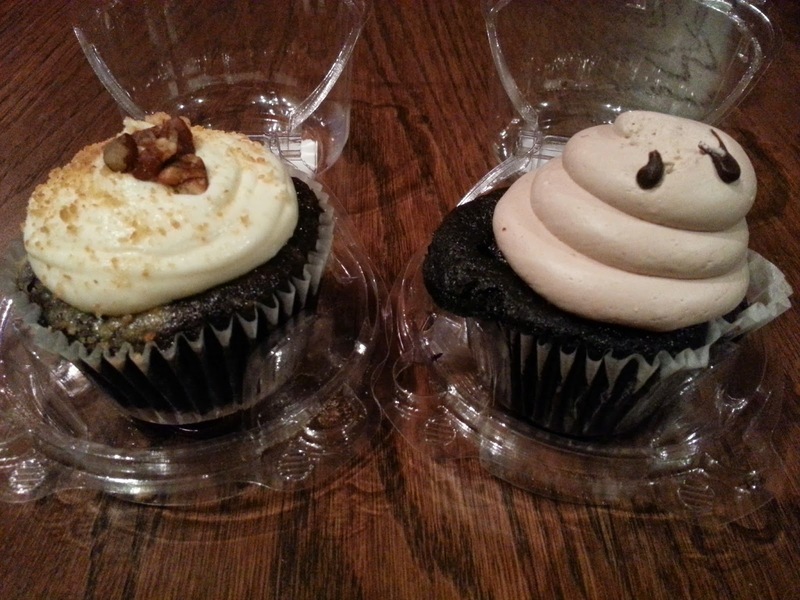 The Turtle Always Wins The Race - A chocolate cupcake with a caramel pecan filling, pillowed in a caramel pecan cream cheese frosting. Cheesecake Caramel Pecan - A layer of graham cracker crust, cake, cheesecake, and frosted with a cheesecake cream cheese filling. For The Love Of Nutella - A chocolate cupcake filled with Nutella filling & swirled with a chocolate Nutella buttercream. We are suckers for froyo, I'm not gonna lie. 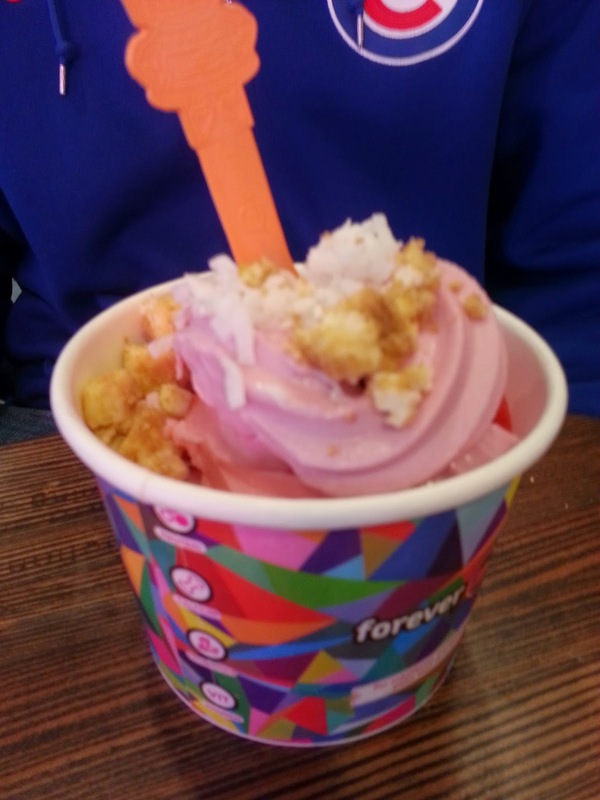 So when we saw Forever Yogurt while walking around Little Italy we were really excited! This place is awesome. 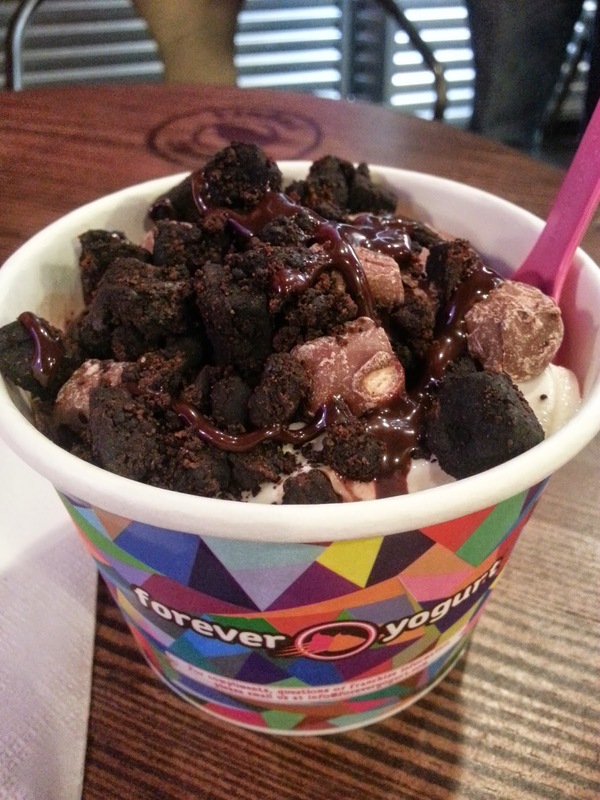 Tons of flavors and toppings, and they have a rewards program! 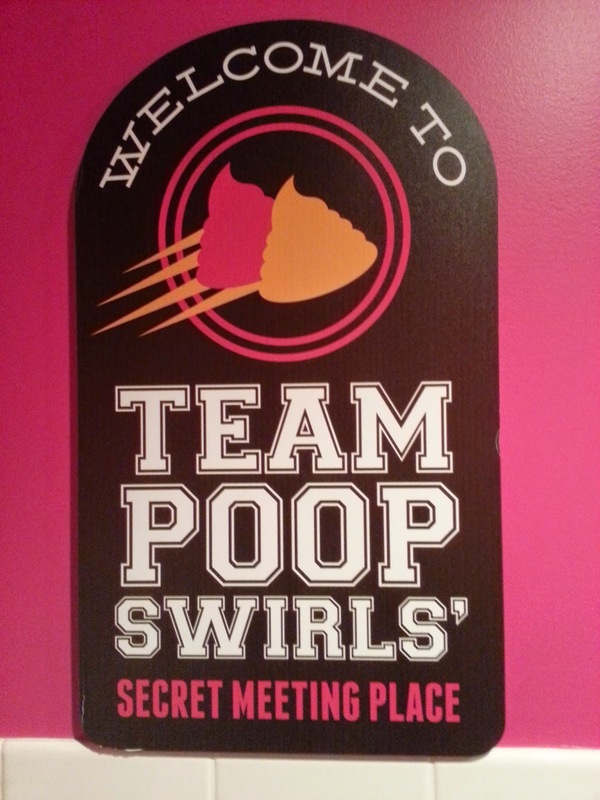 This is the best bathroom sign I have ever seen! !